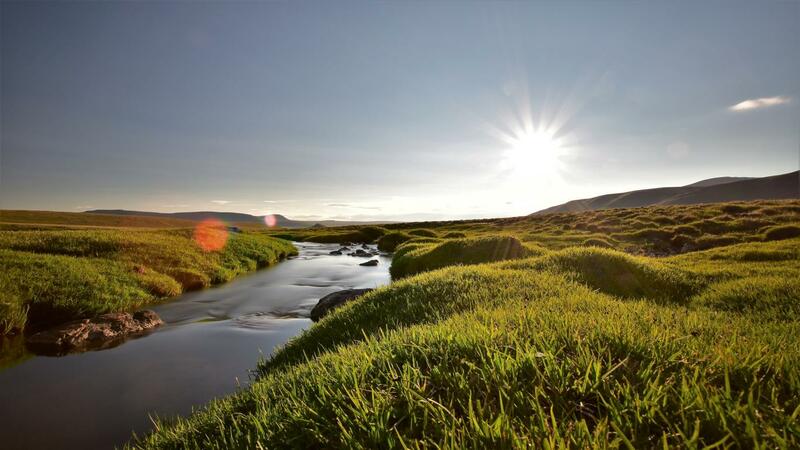 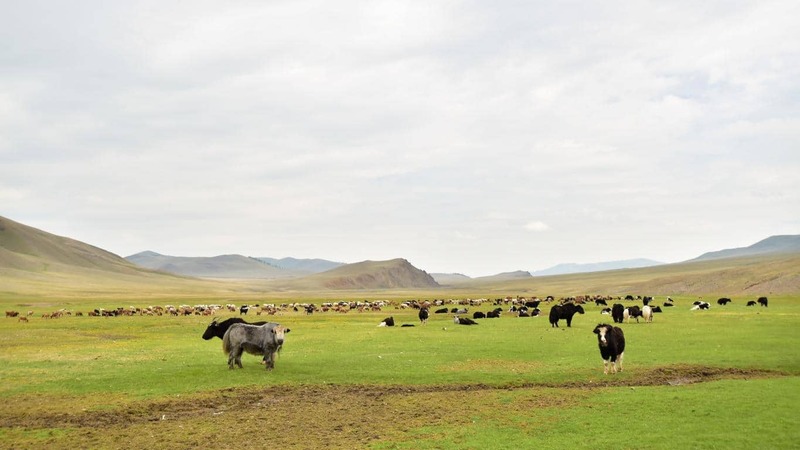 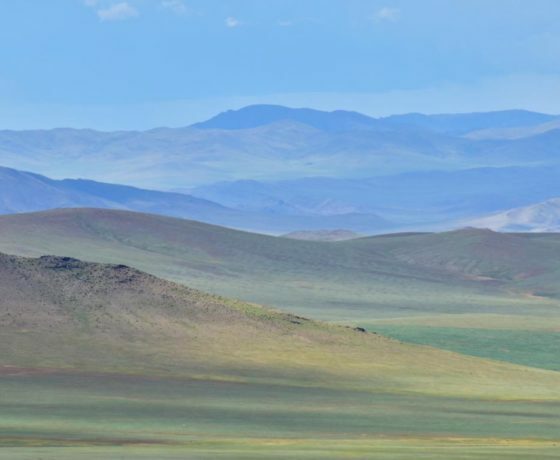 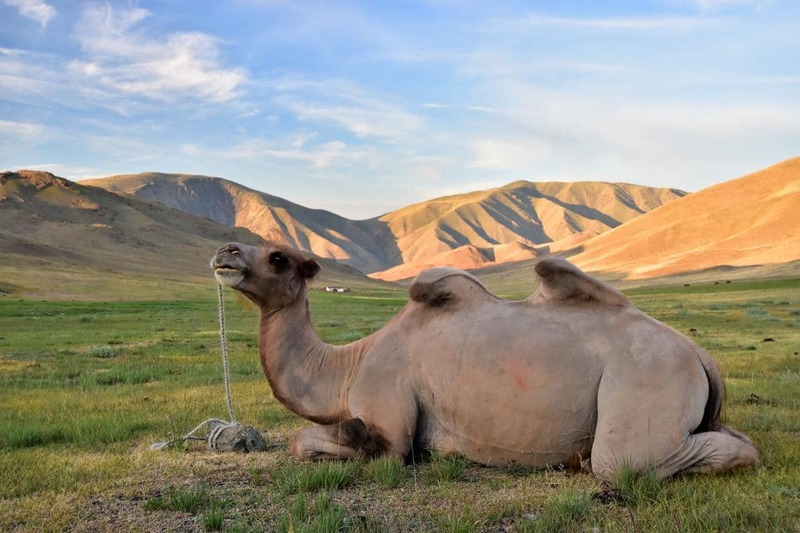 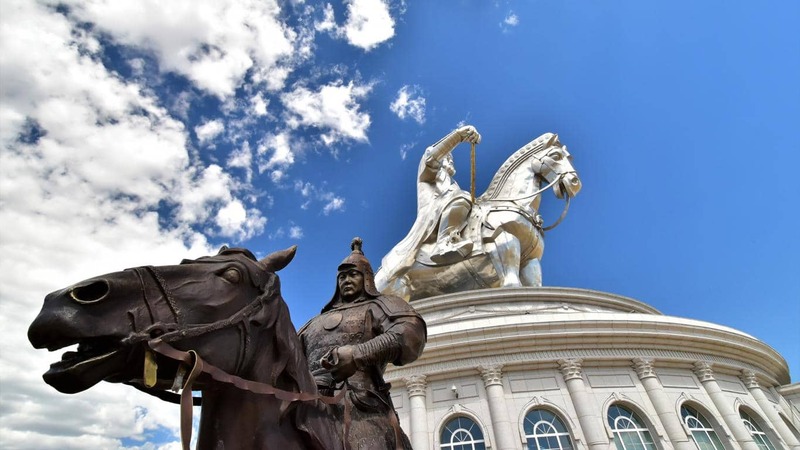 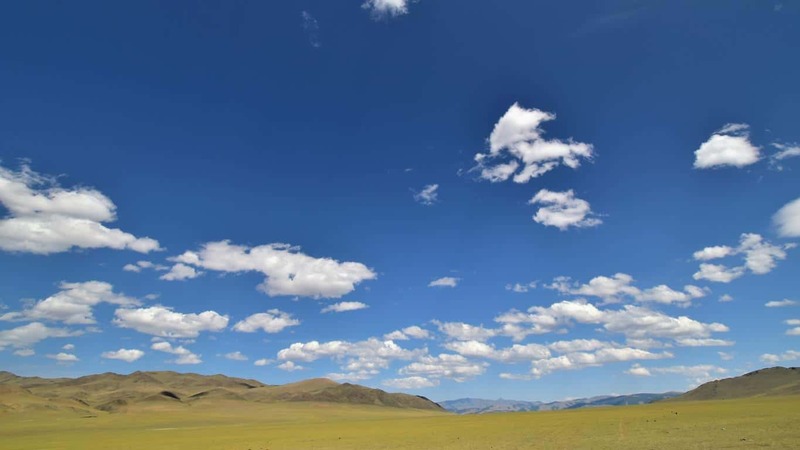 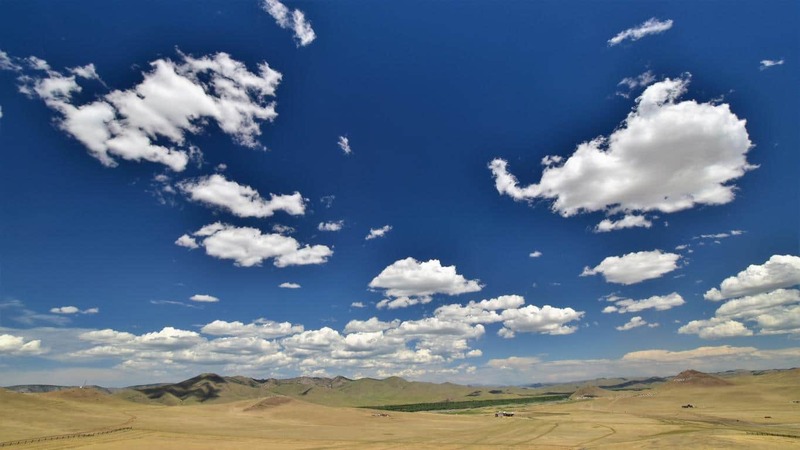 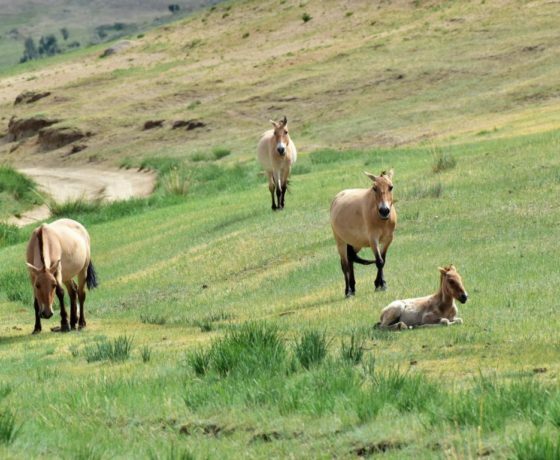 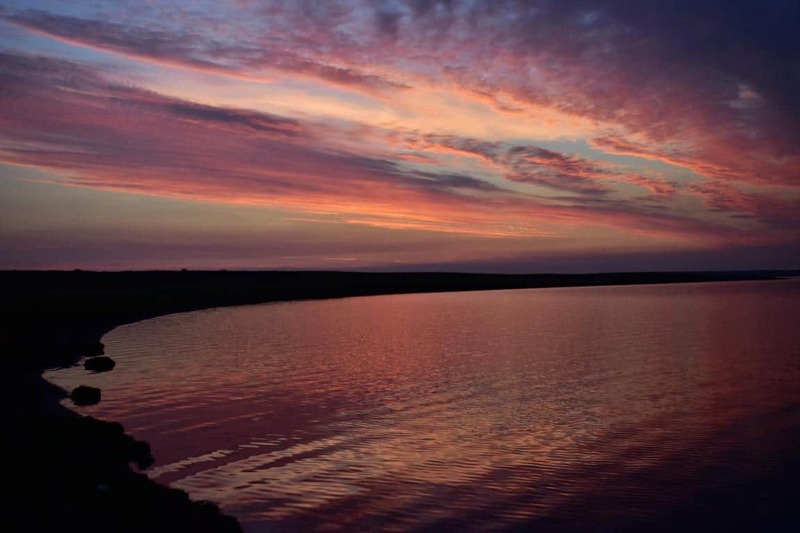 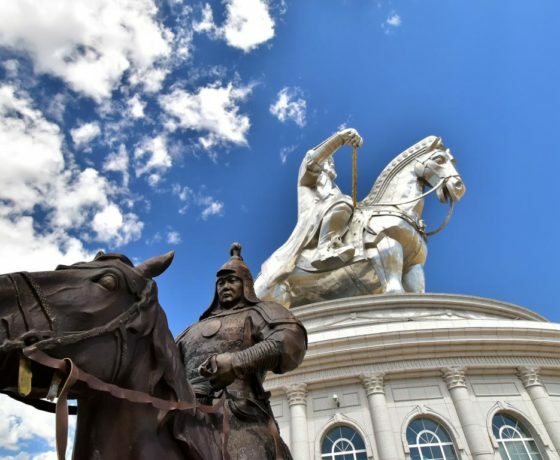 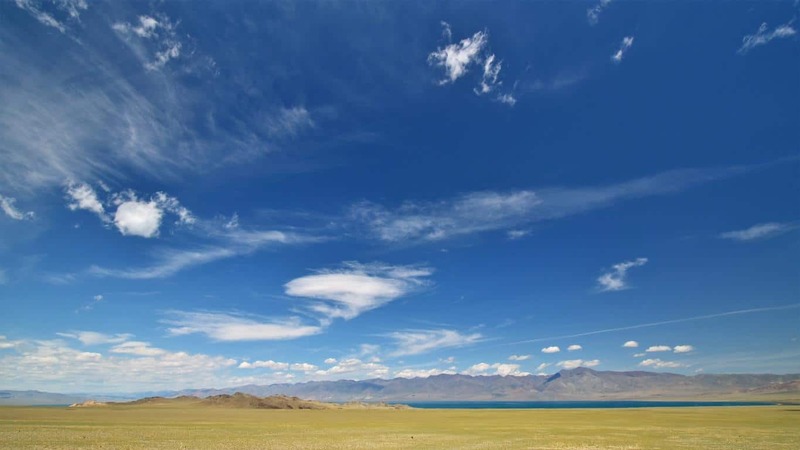 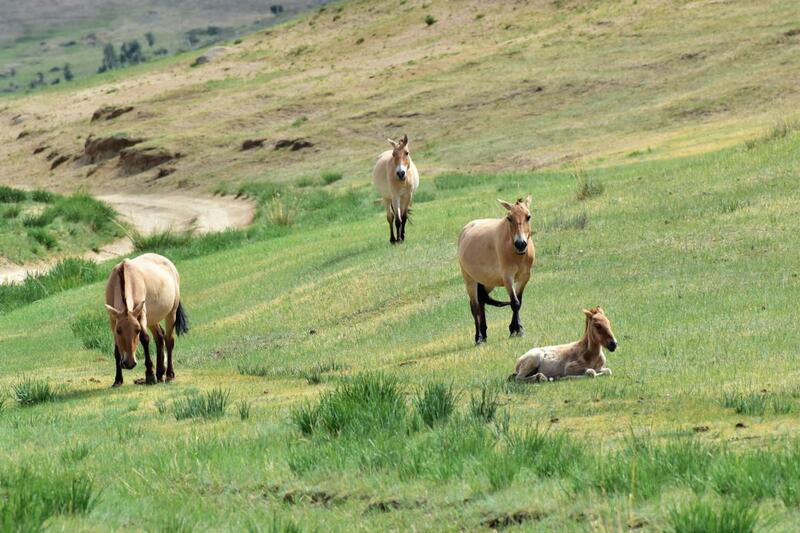 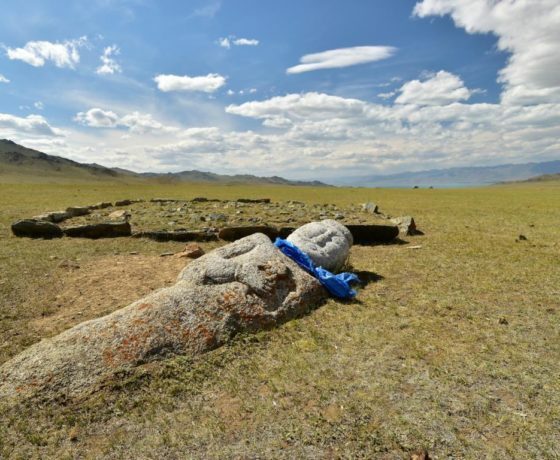 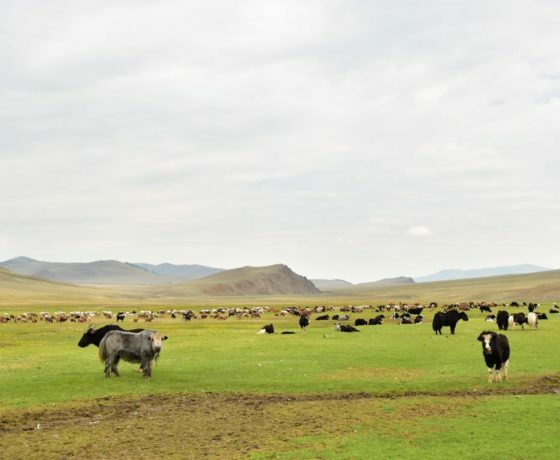 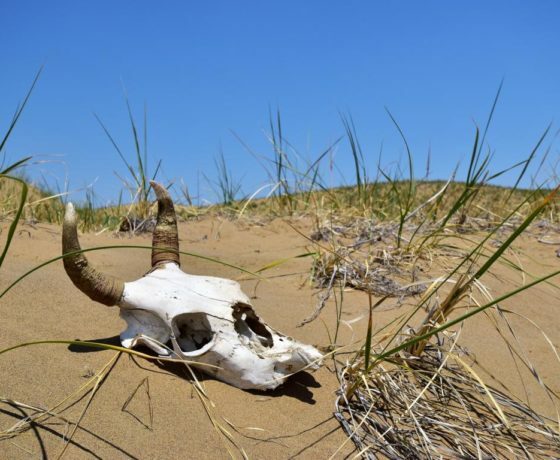 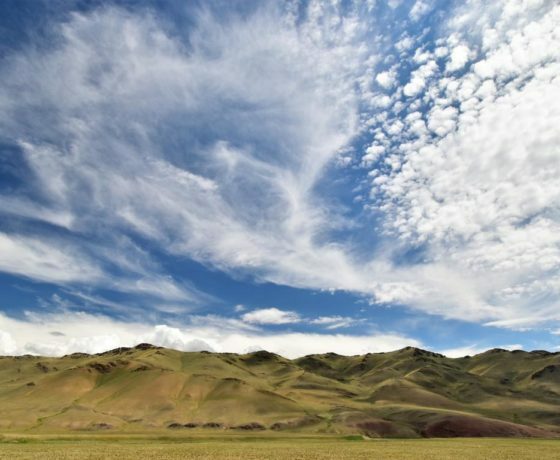 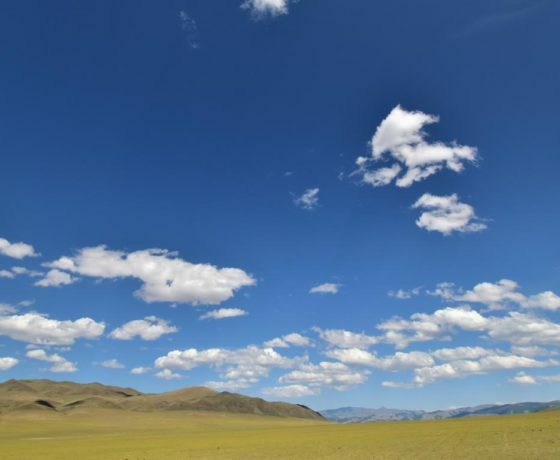 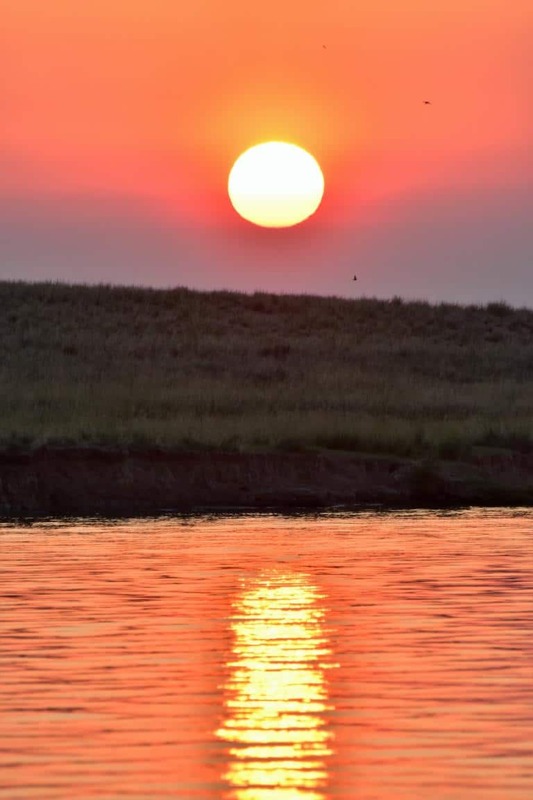 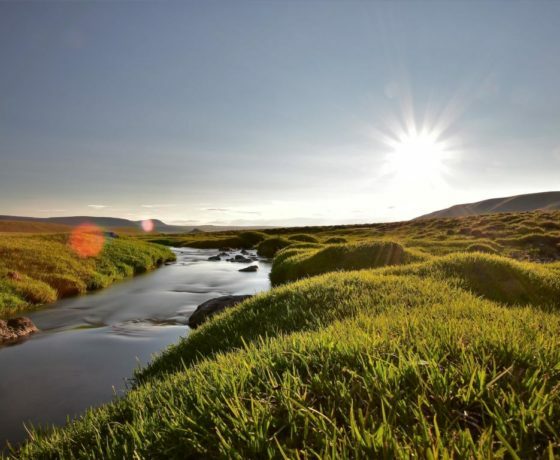 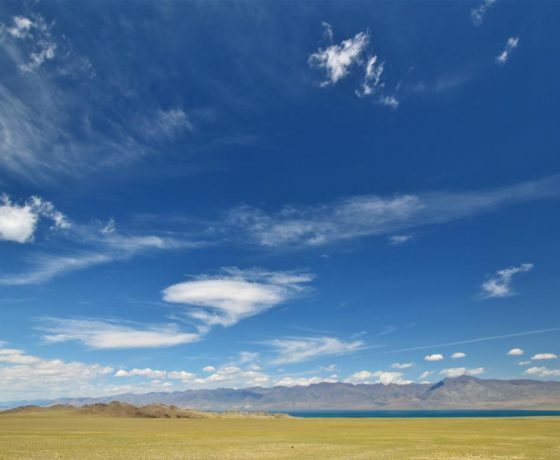 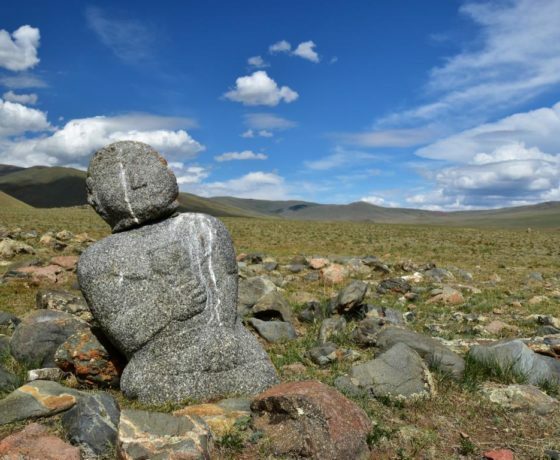 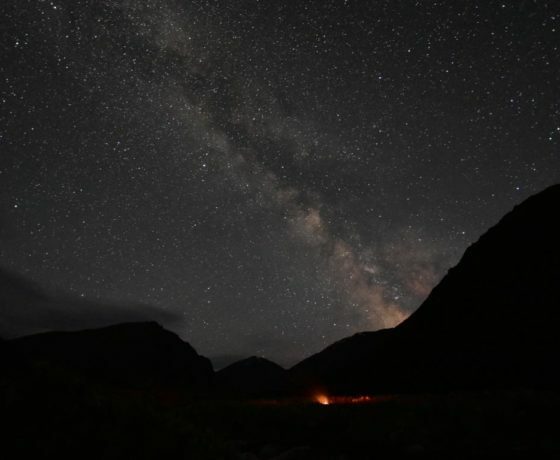 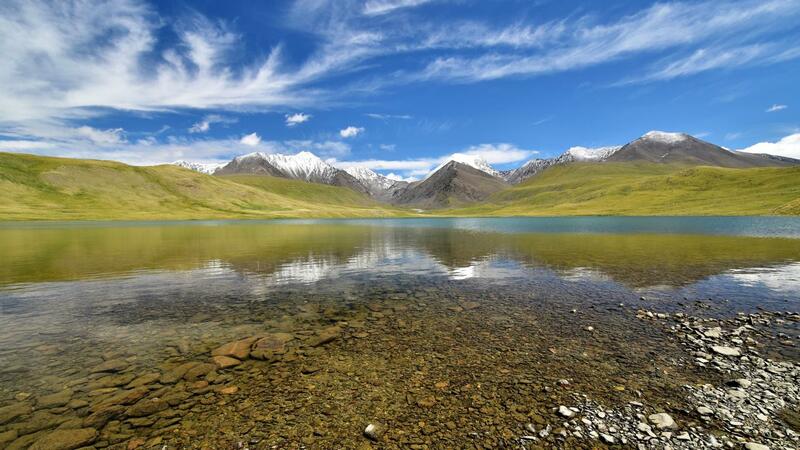 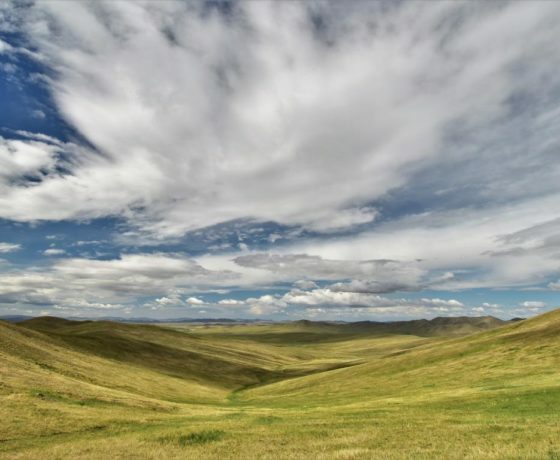 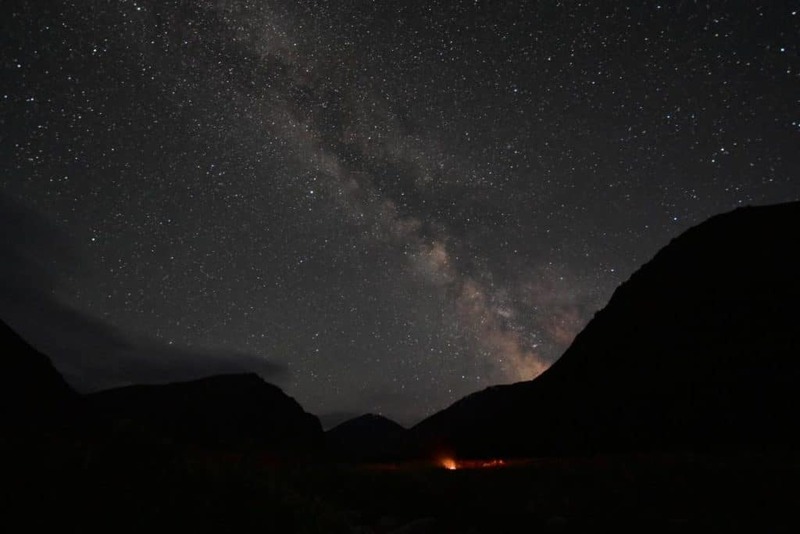 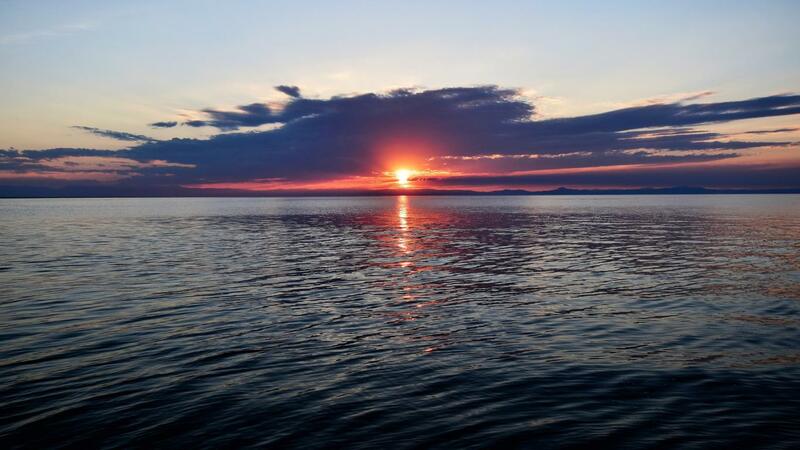 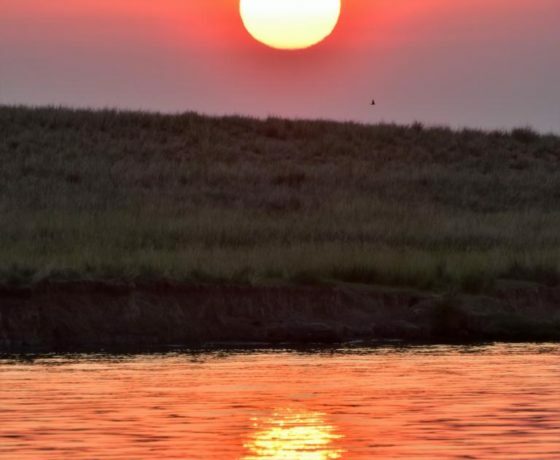 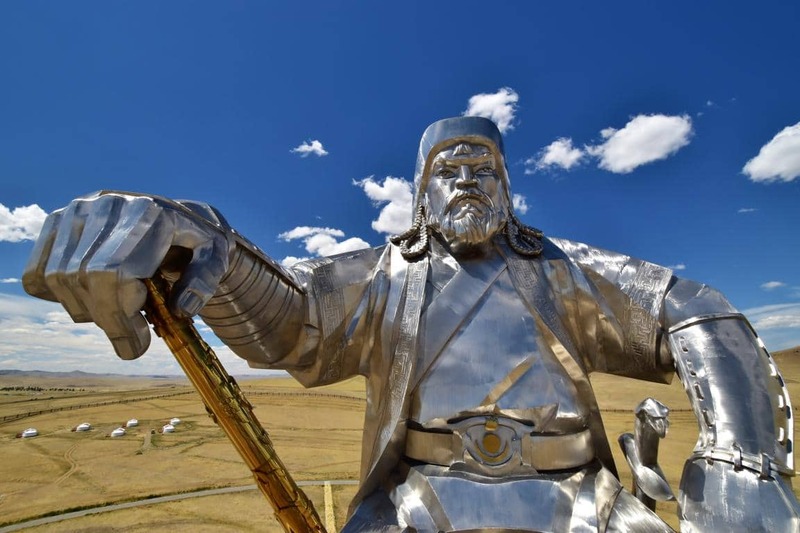 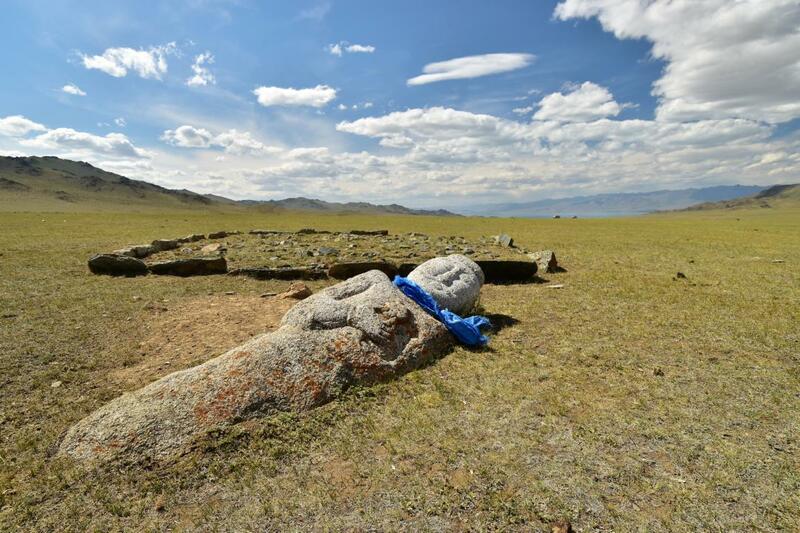 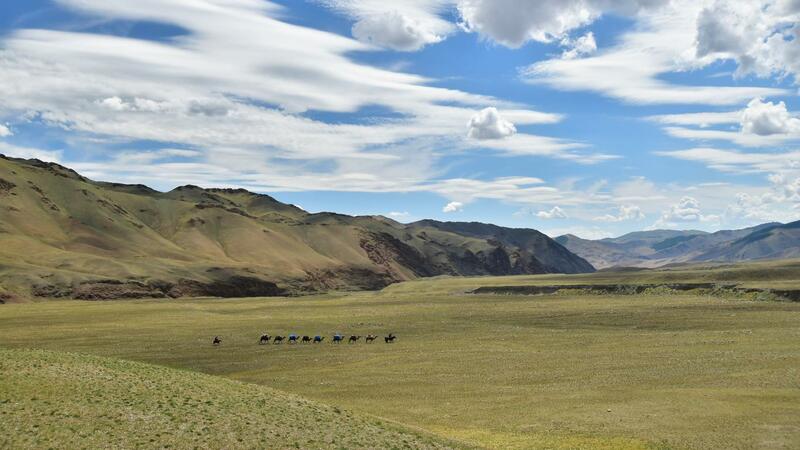 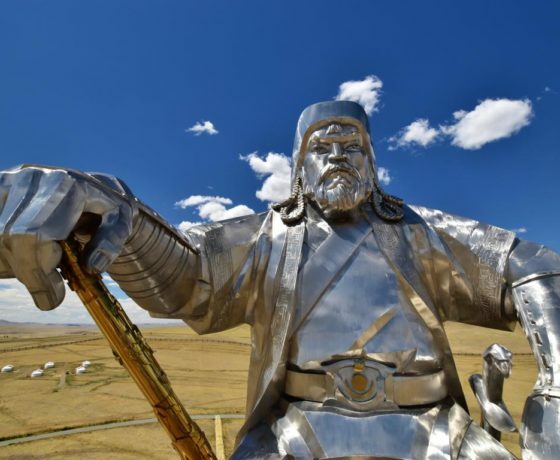 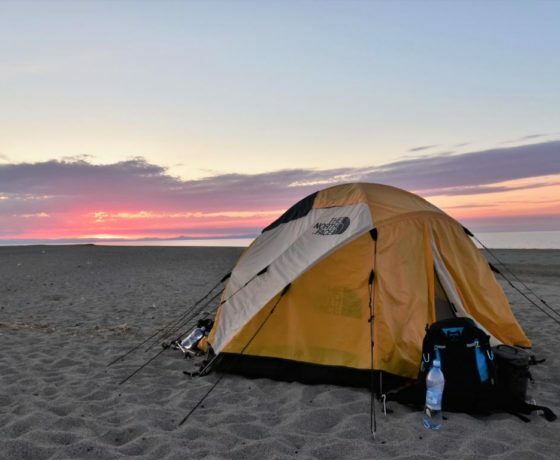 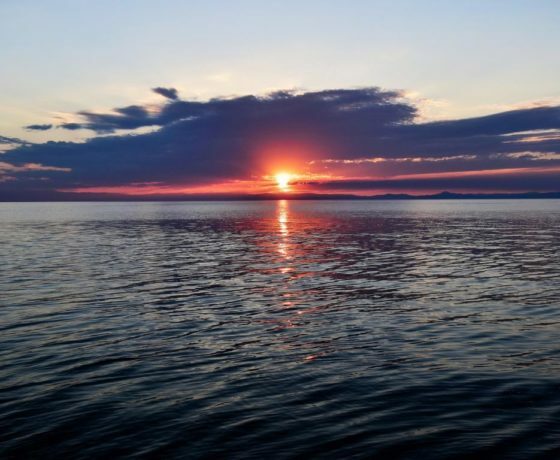 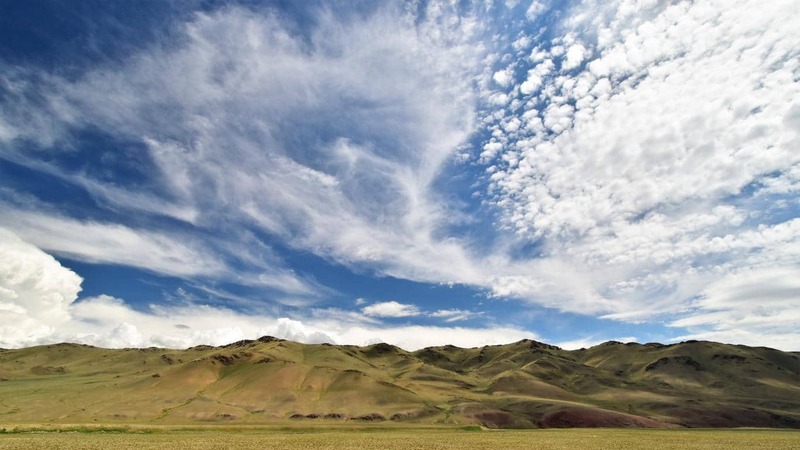 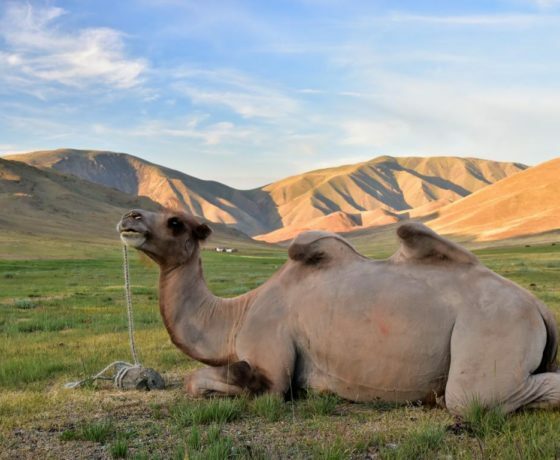 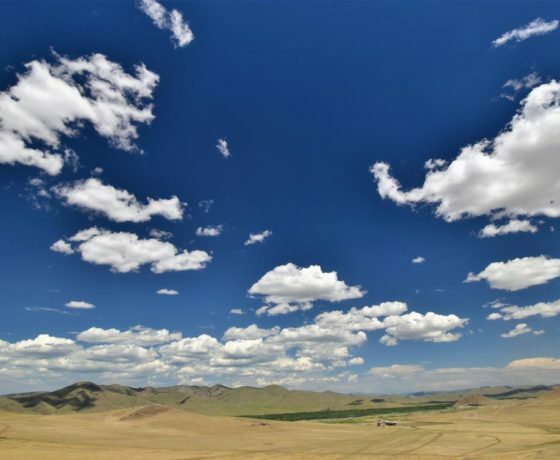 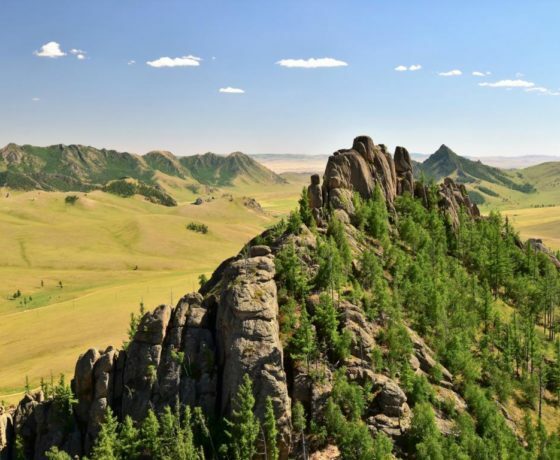 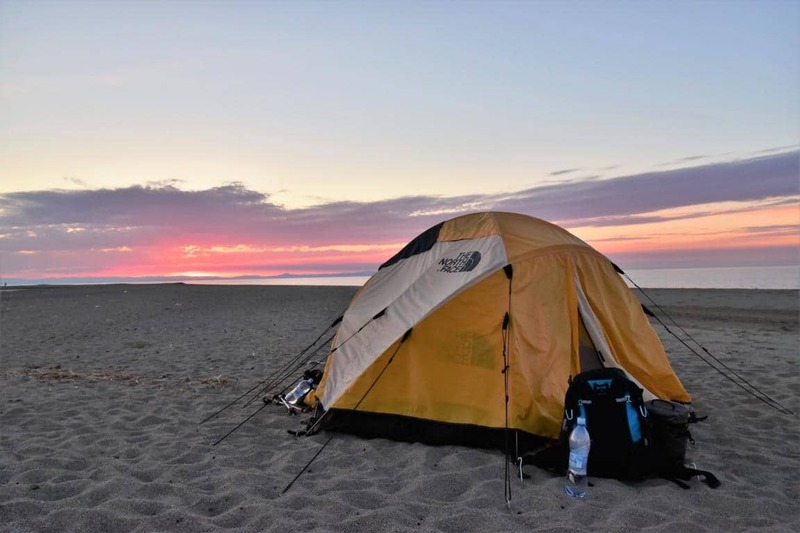 The western part of Mongolia is known for its varied landscapes, its glacier-washed mountains, its shimmering salt lakes and its strong cultural identity, rooted in ancient traditions and a rich history. 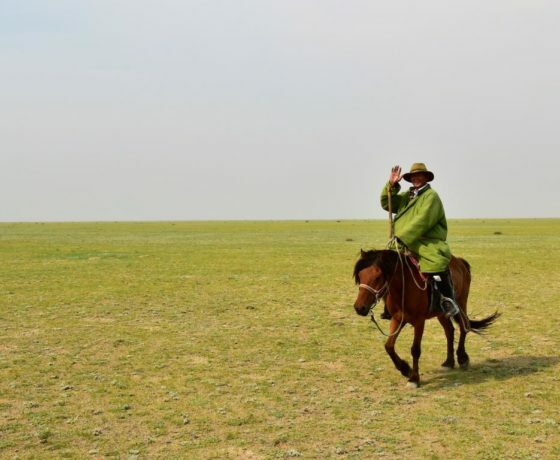 On this trip we will meet the proud nomads of the West, and also test ourselves. 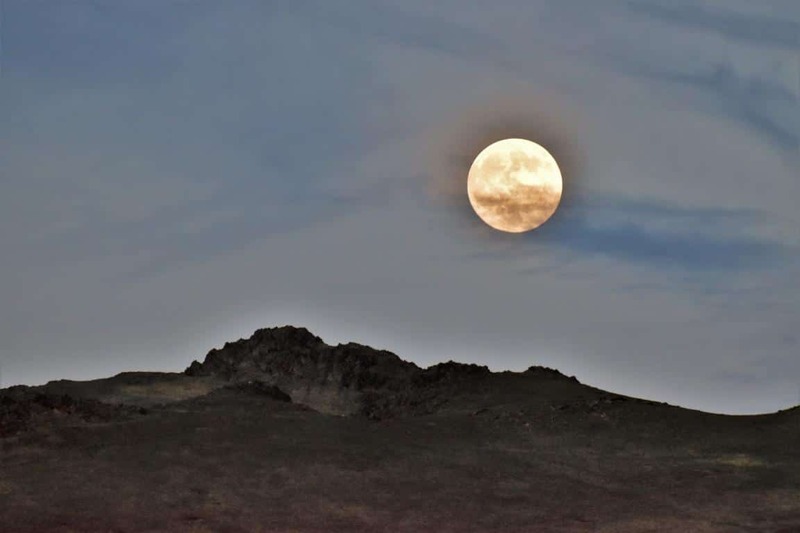 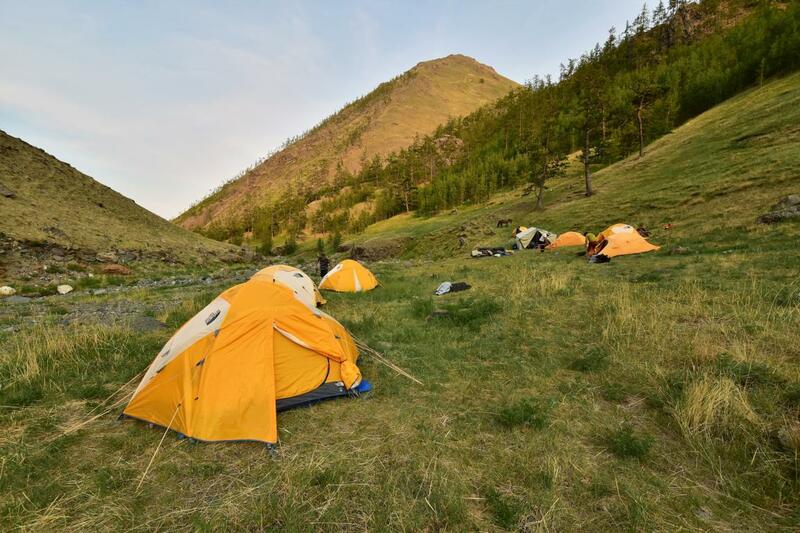 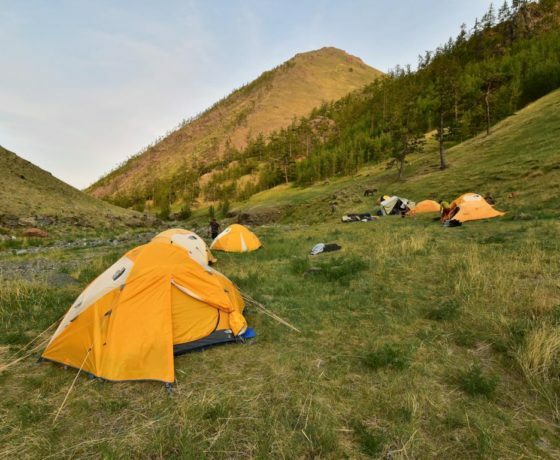 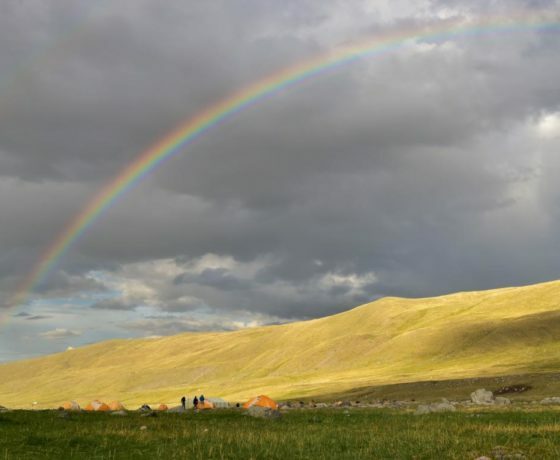 Or rather, we will be tested by the slopes of second highest mountain of Mongolia, the Munkhhairhan, with its more than 4300 meters of altitude. 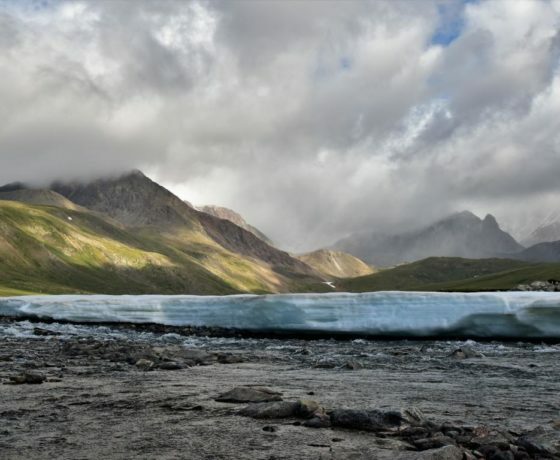 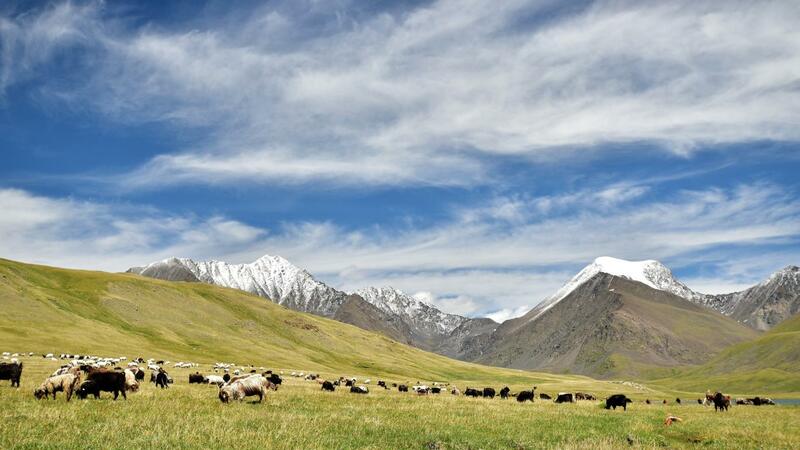 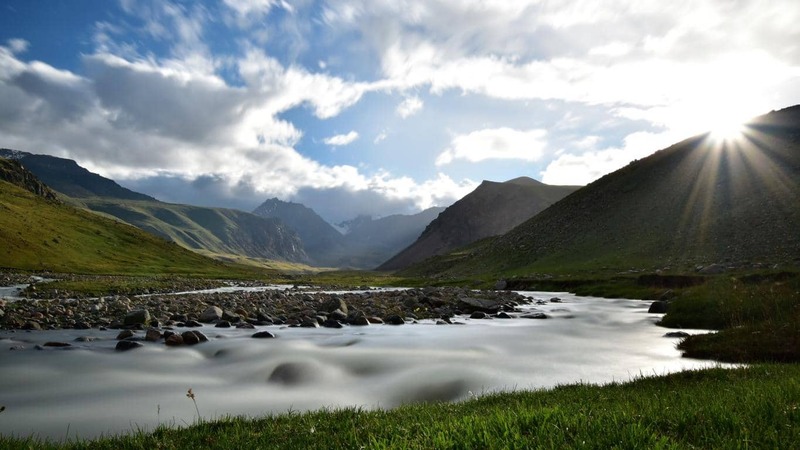 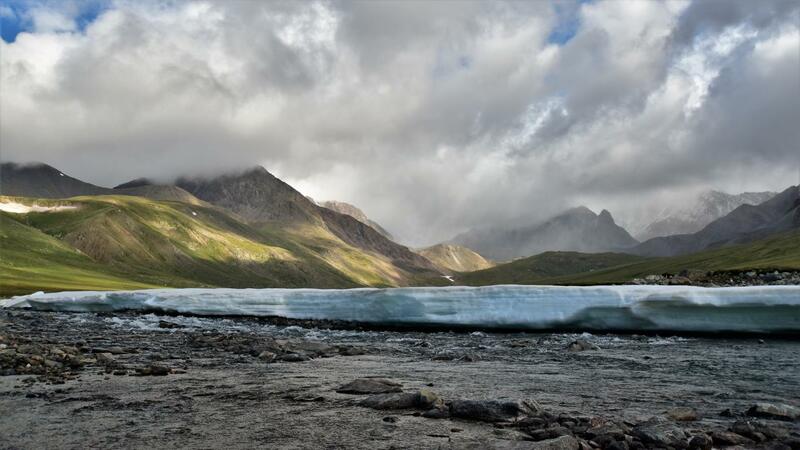 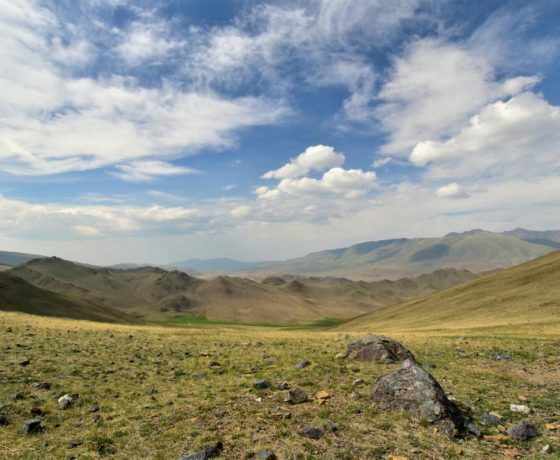 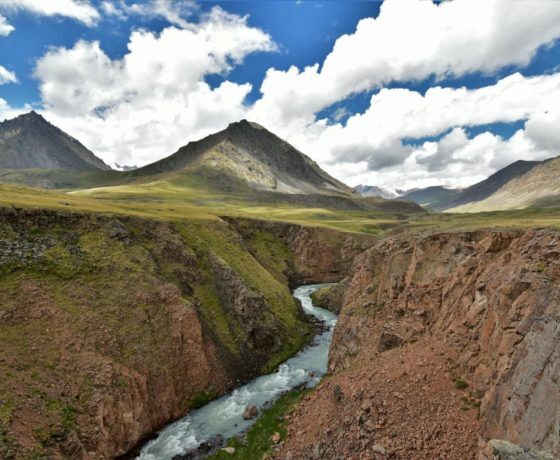 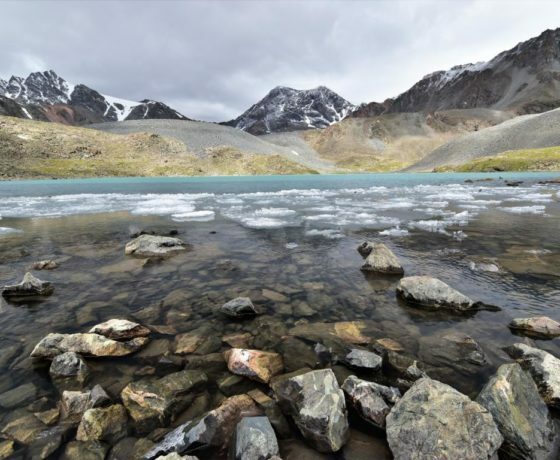 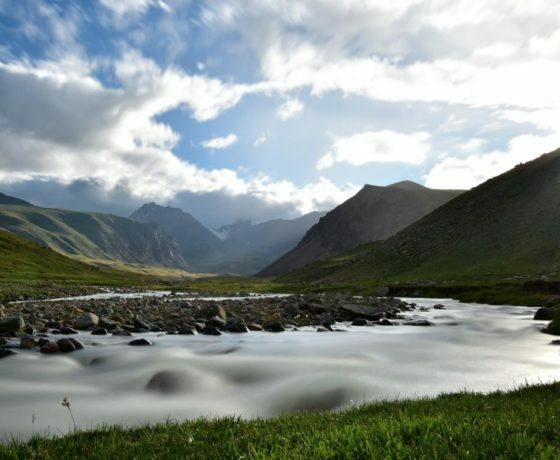 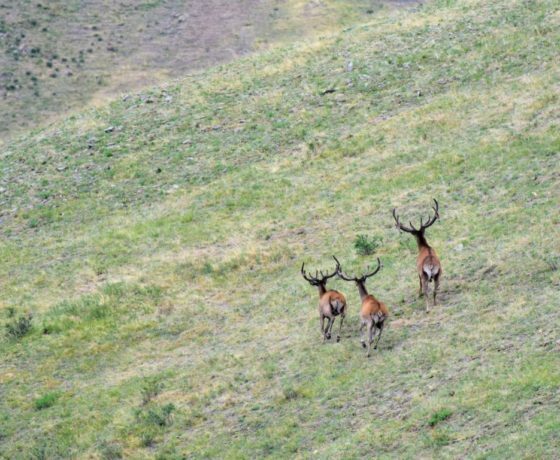 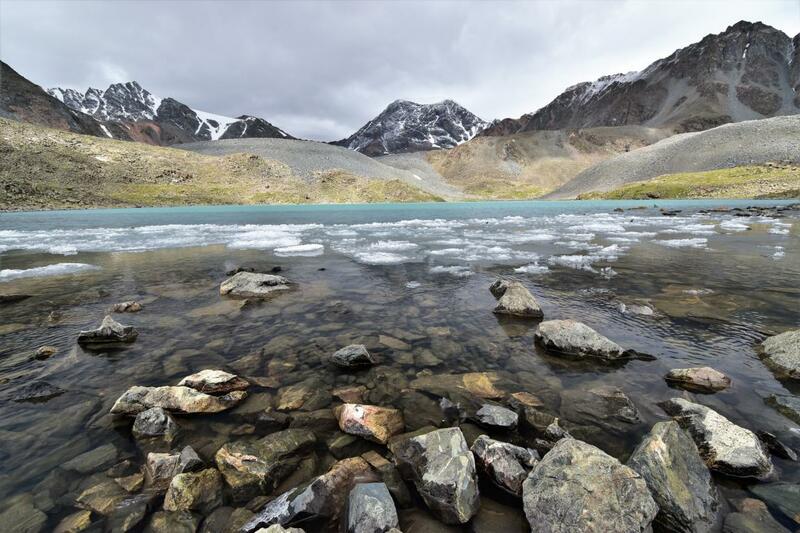 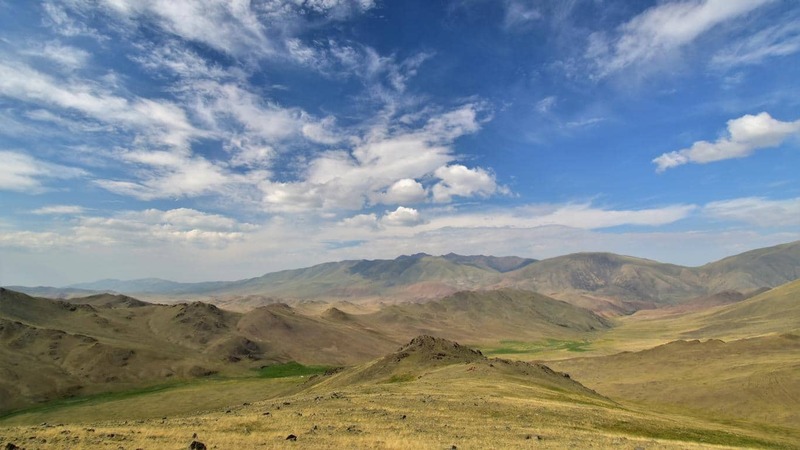 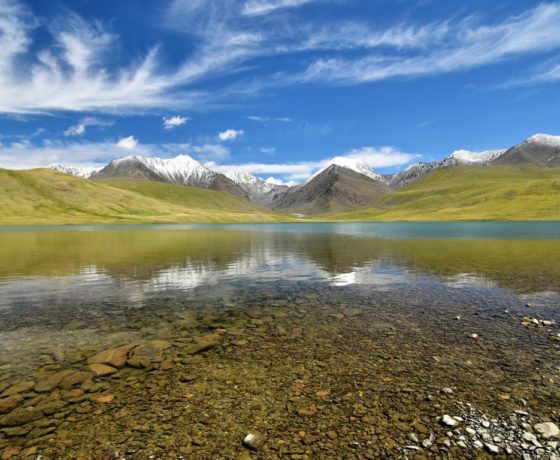 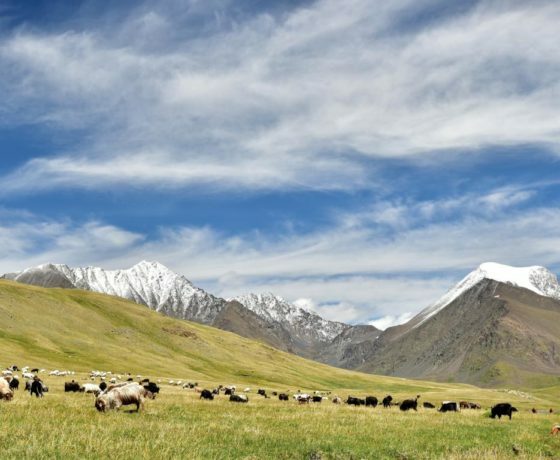 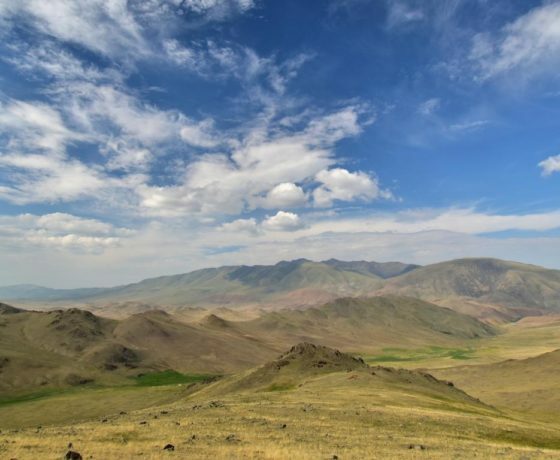 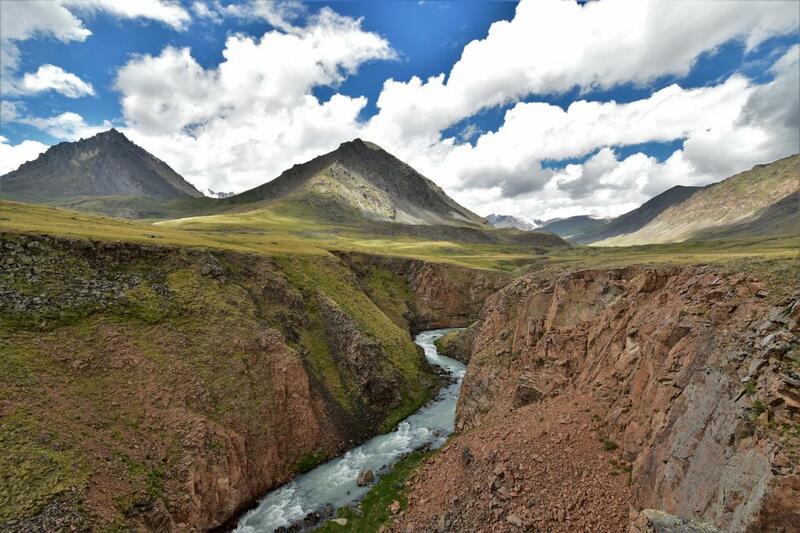 In 2006, the region around the mountain was declared a national park to protect endangered species such as snow leopards, ibex and Argali sheep. 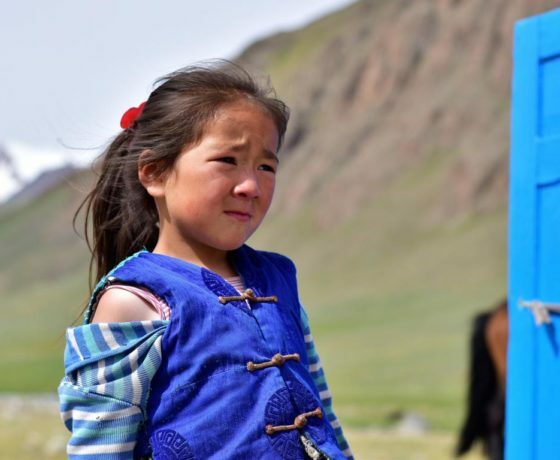 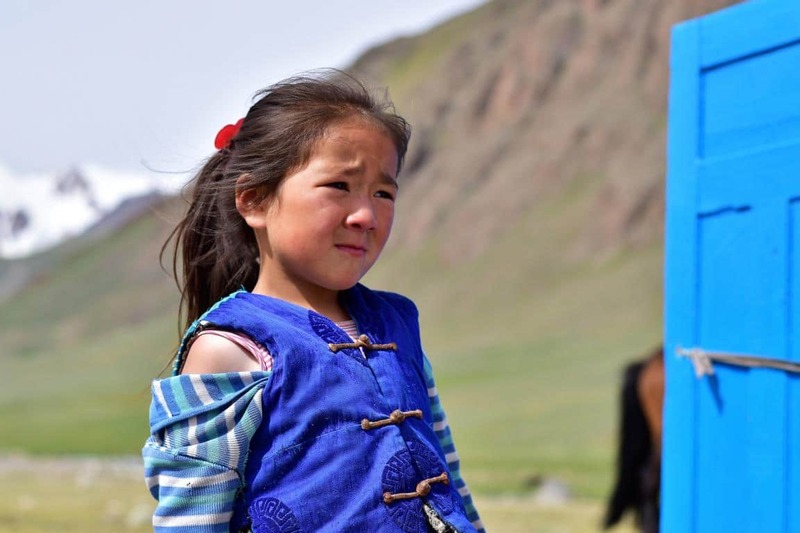 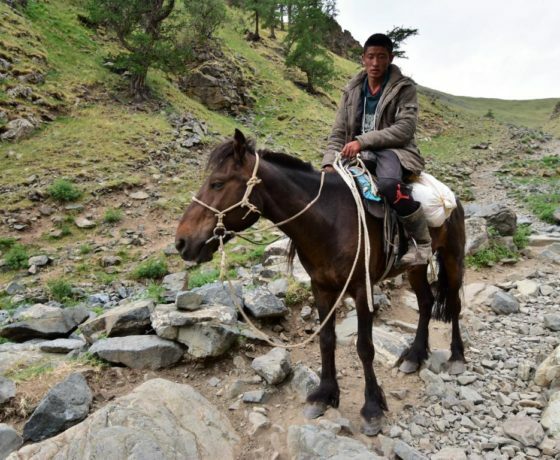 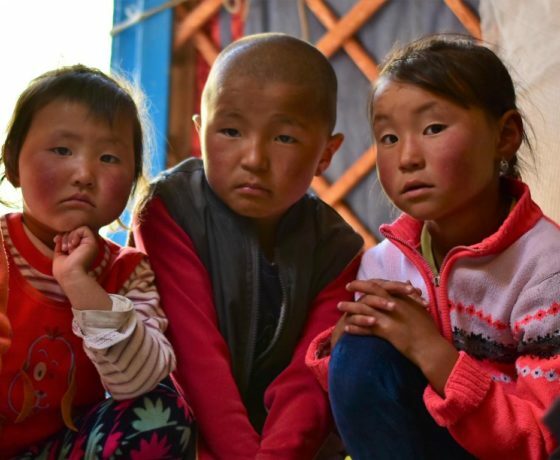 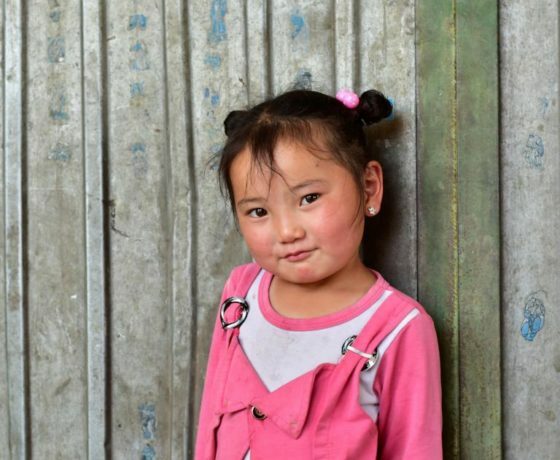 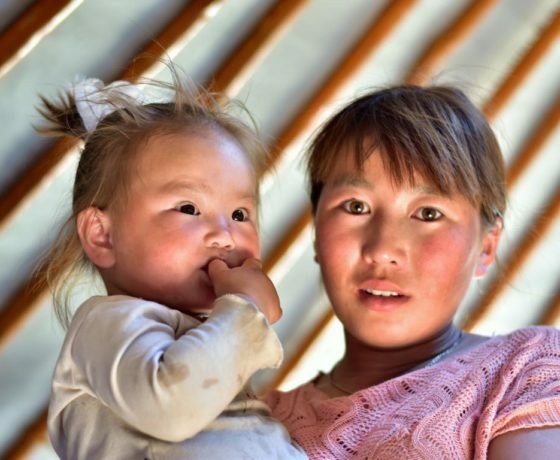 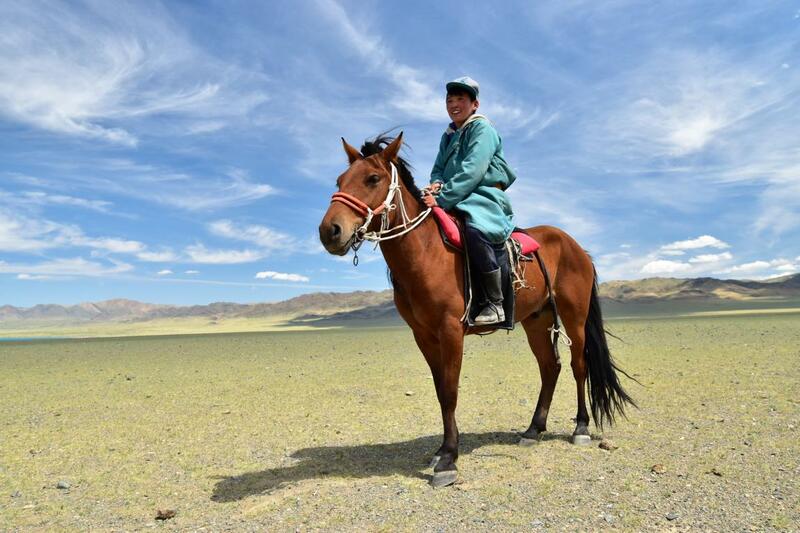 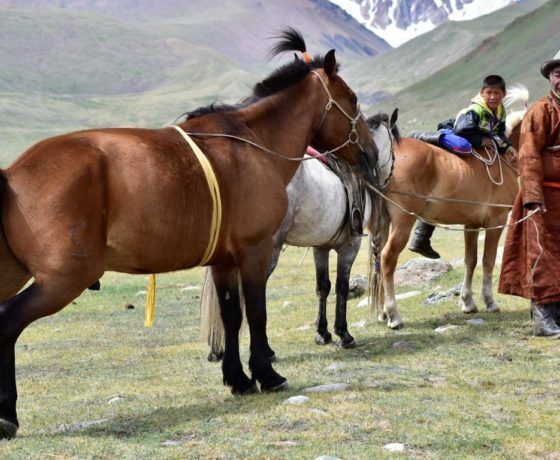 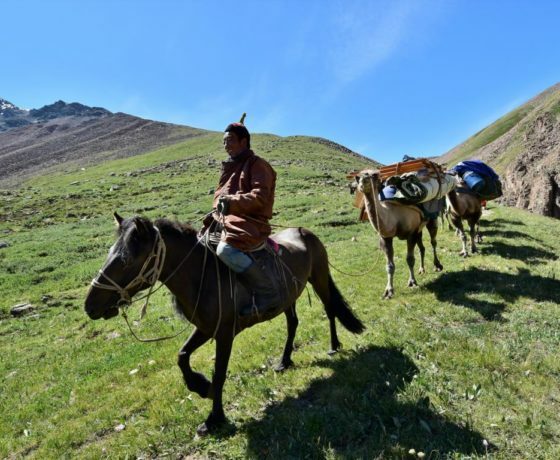 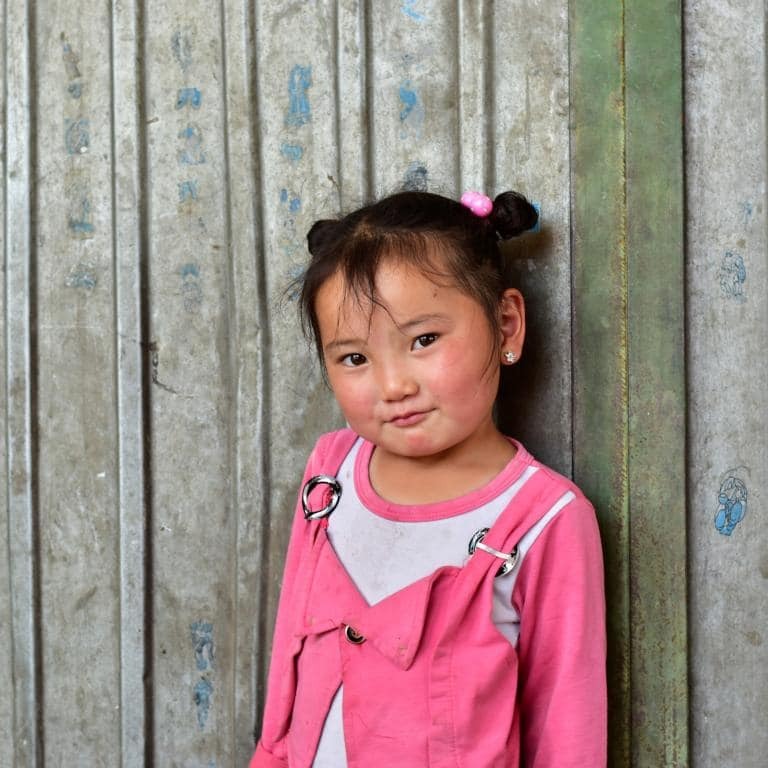 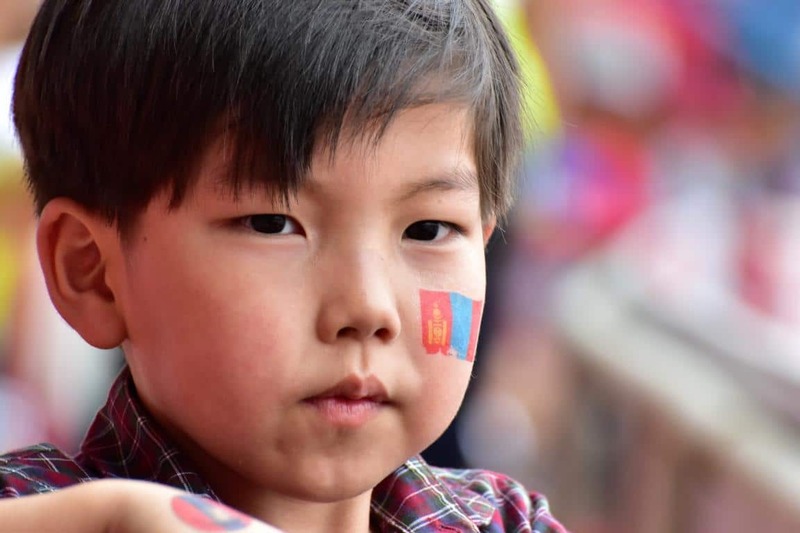 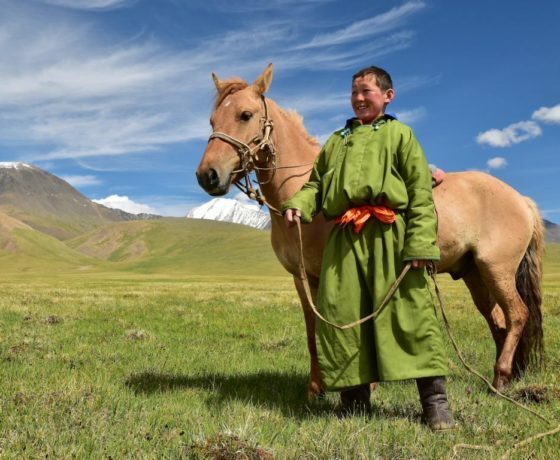 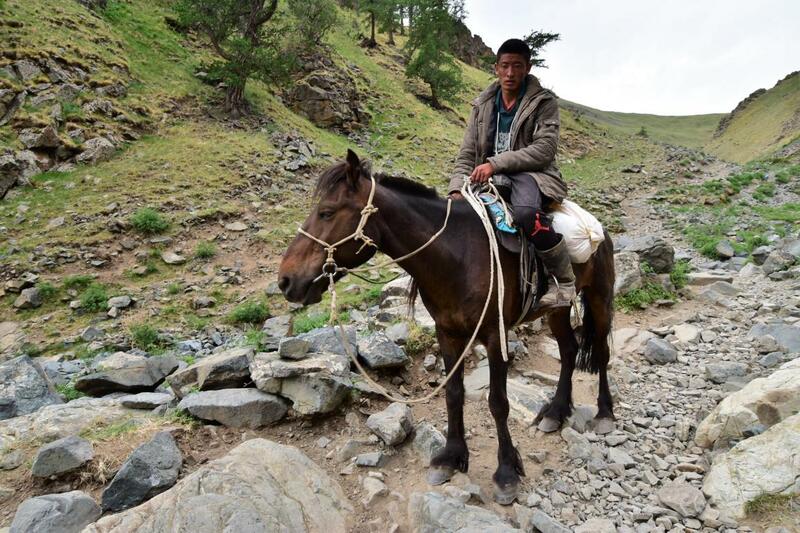 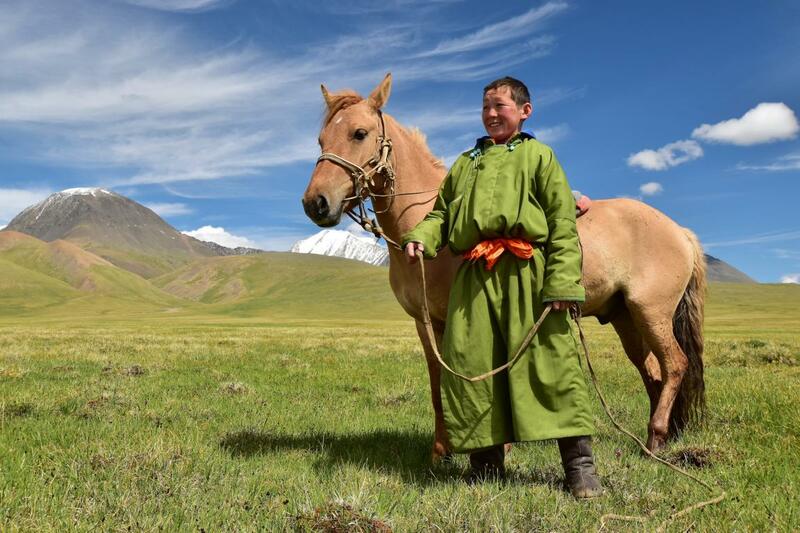 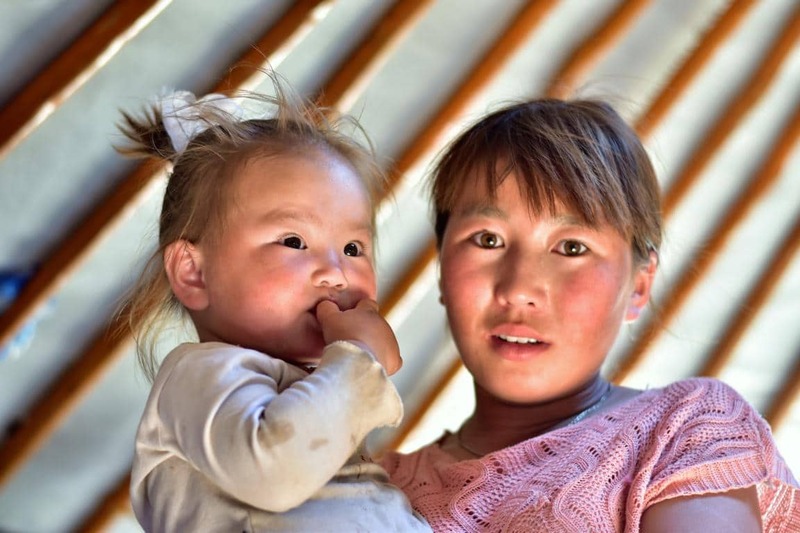 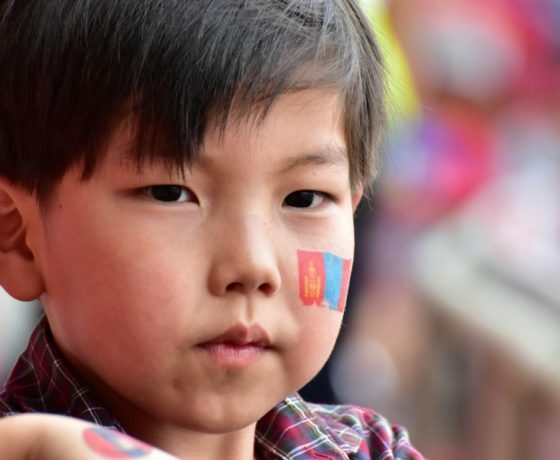 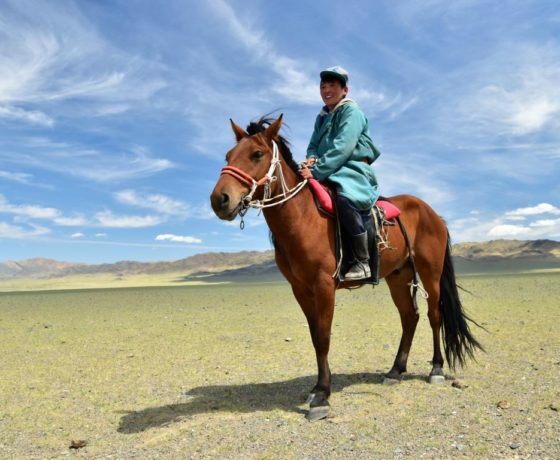 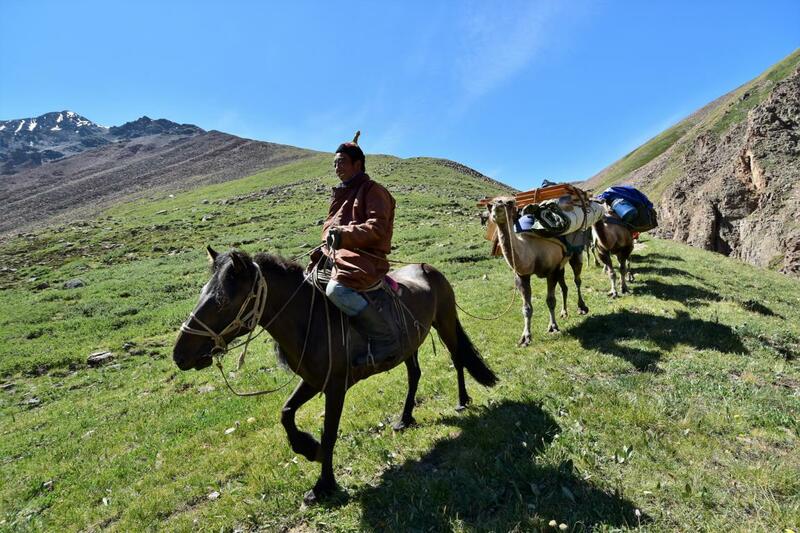 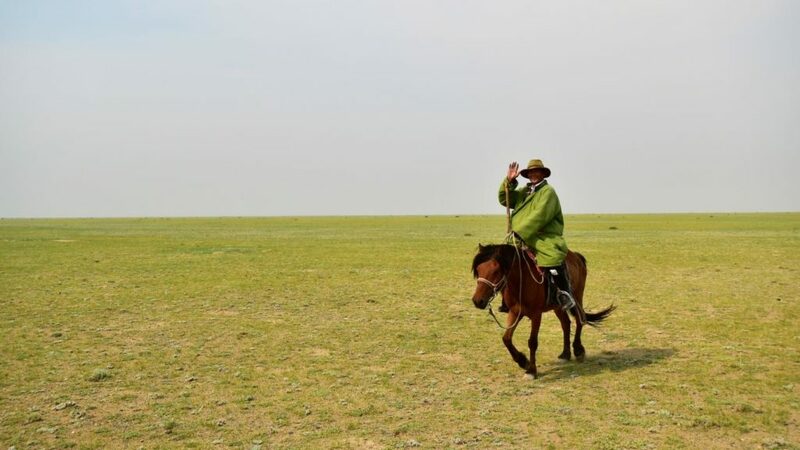 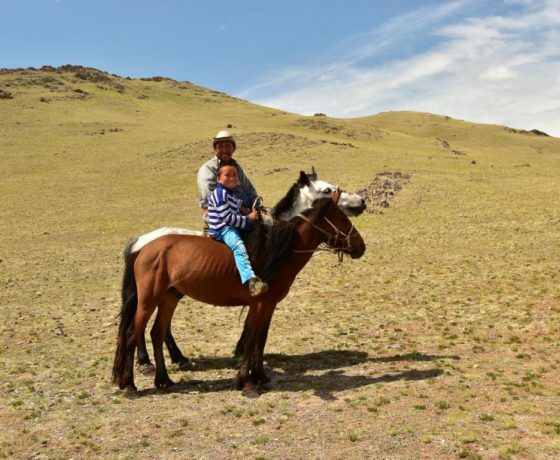 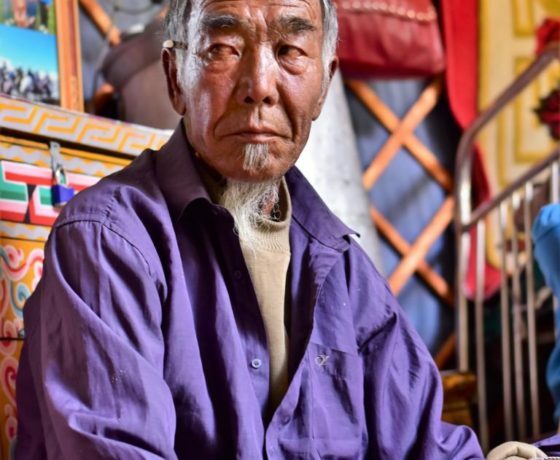 The nomads of Mongolia are a proud people. 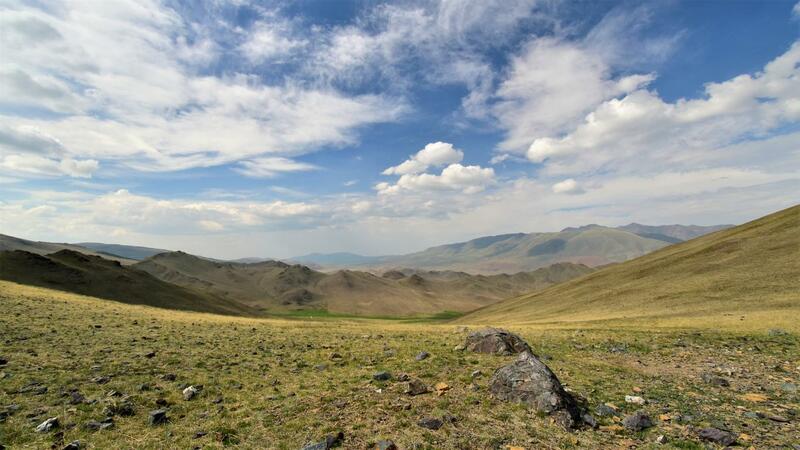 The steppe is a harsh and lonely place: here you have to be tough, but also generous in giving. 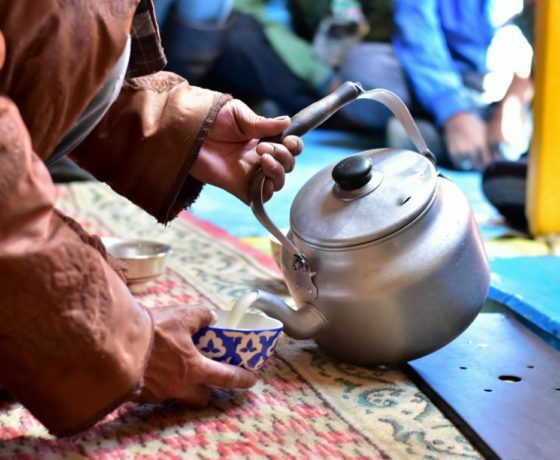 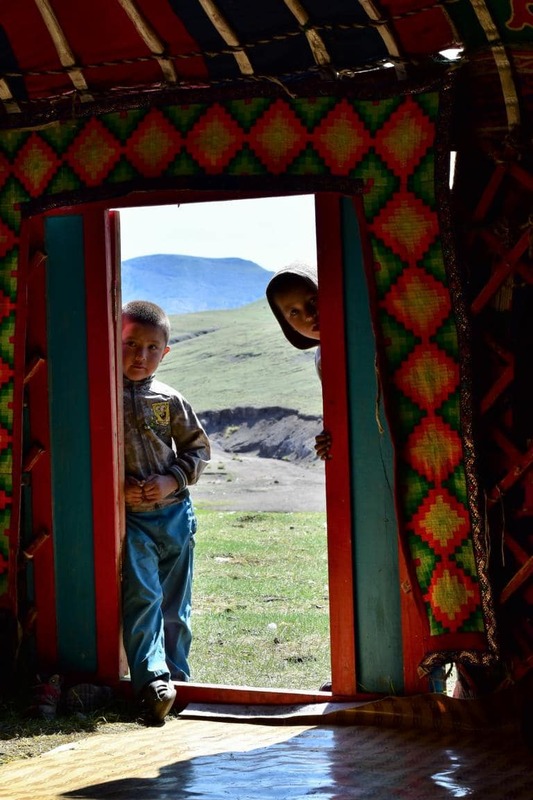 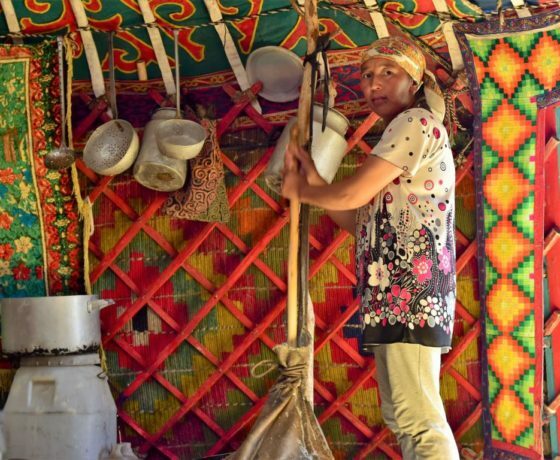 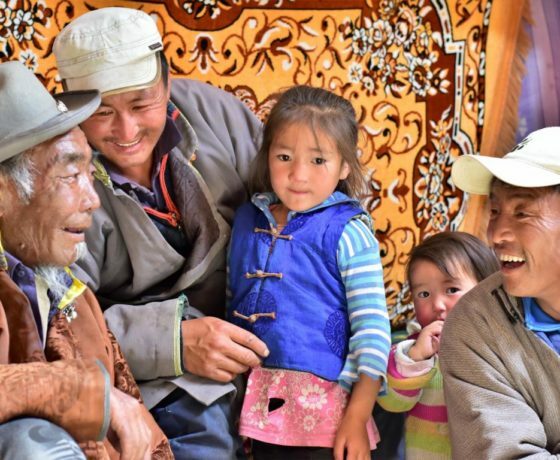 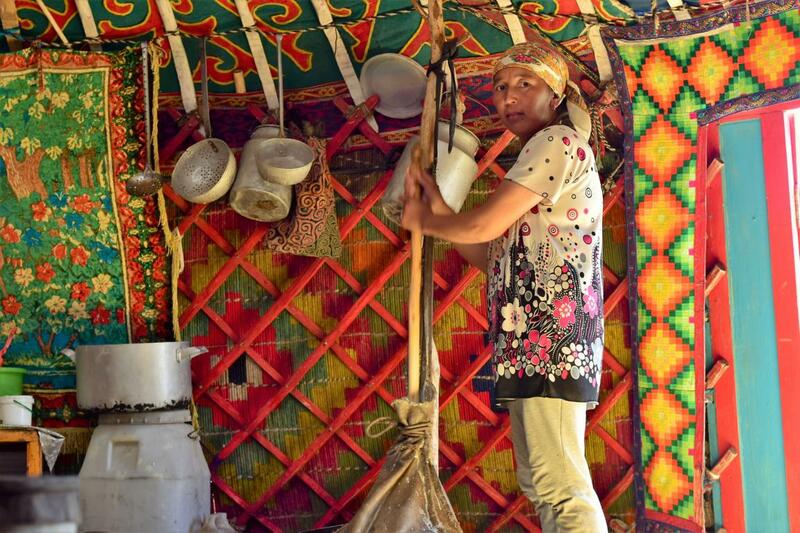 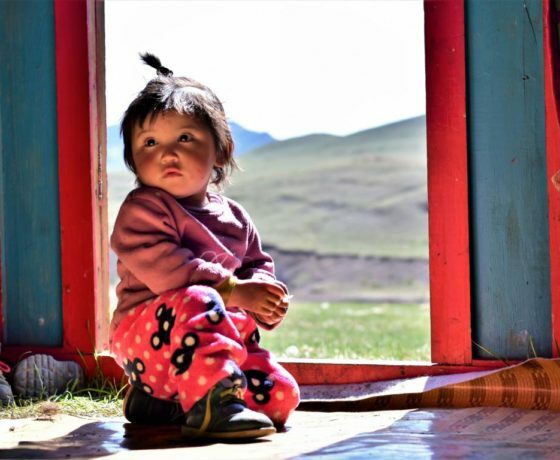 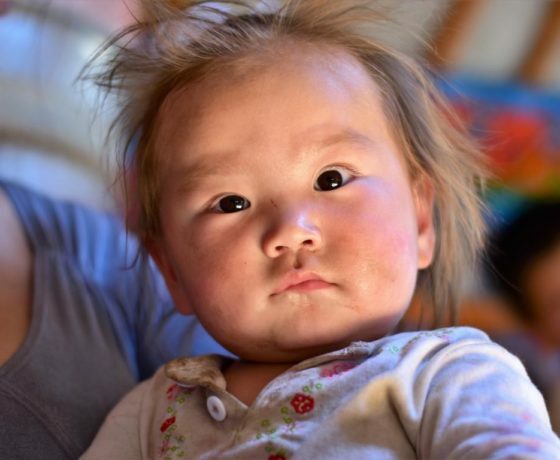 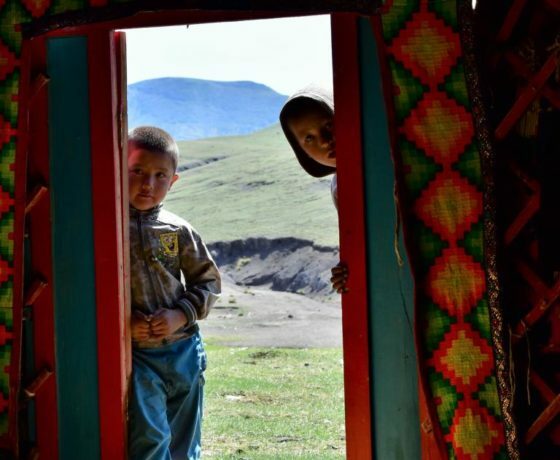 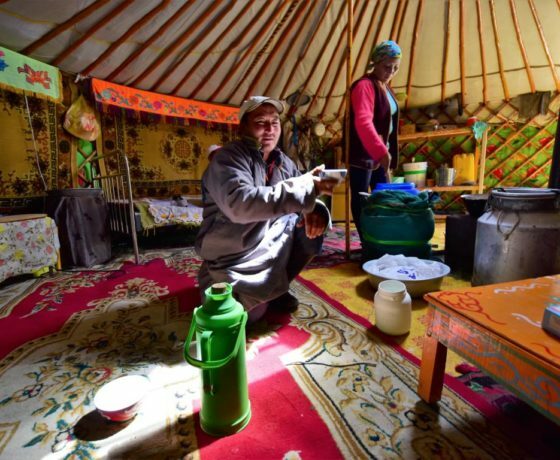 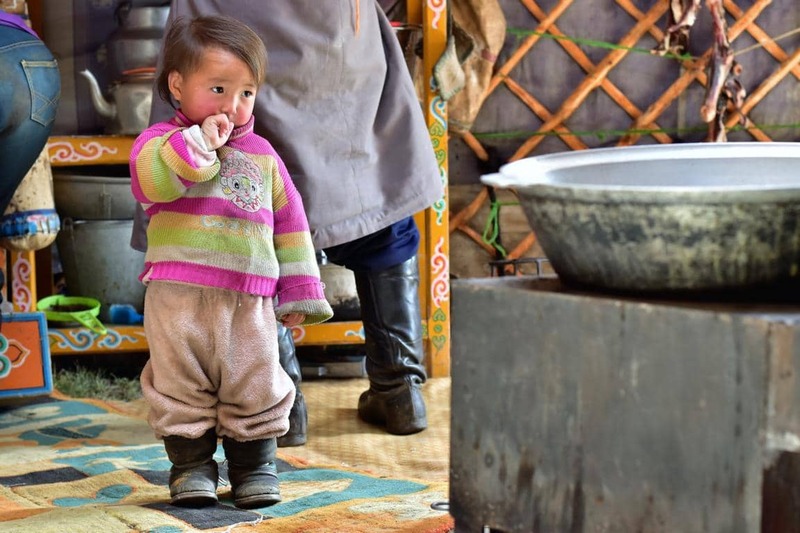 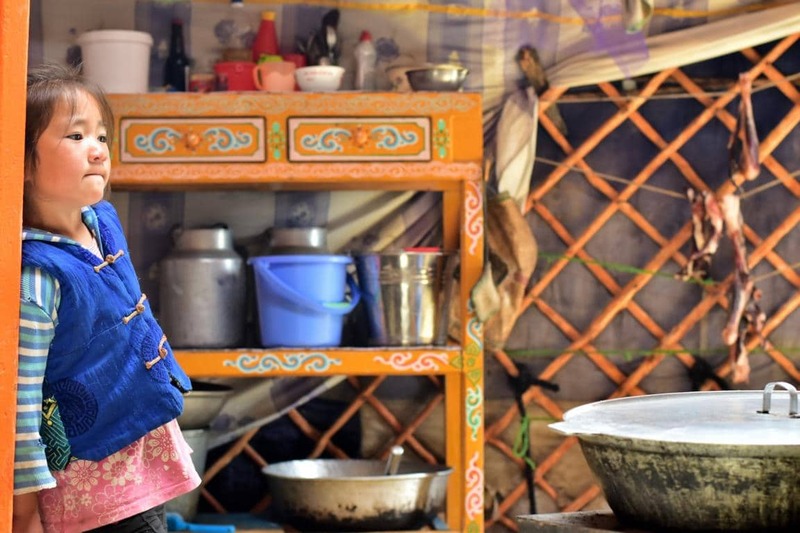 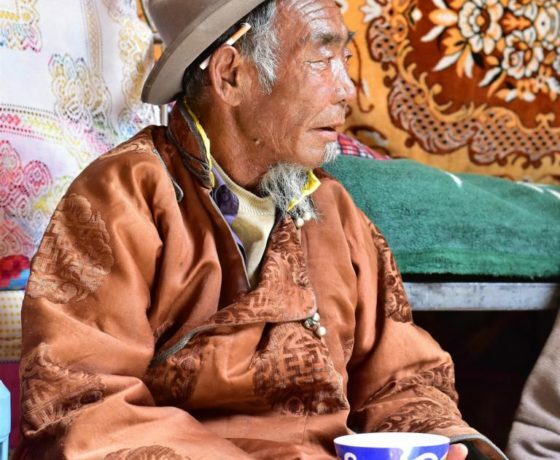 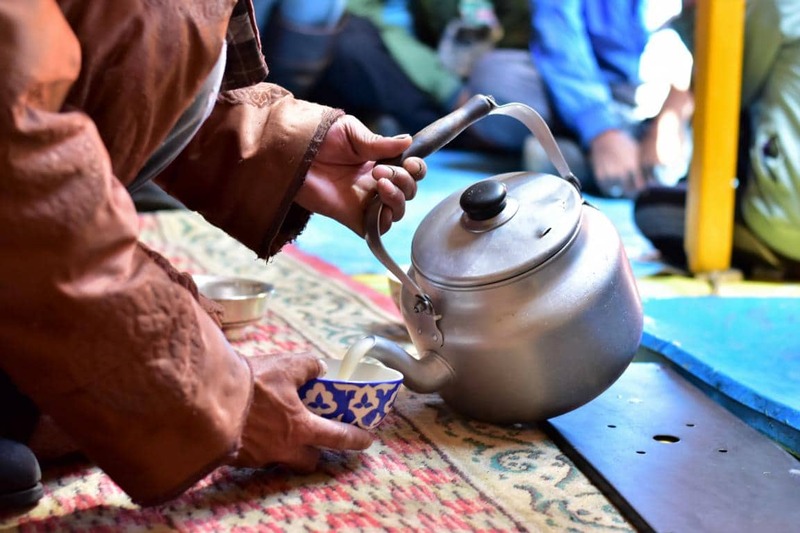 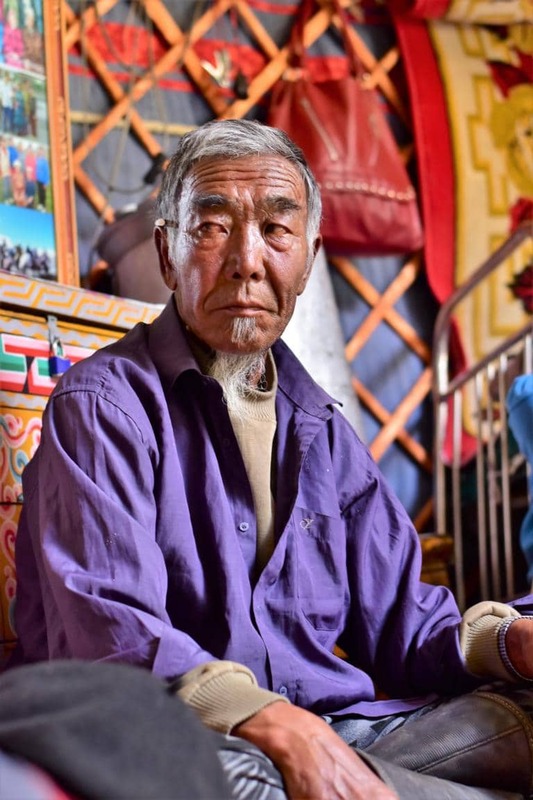 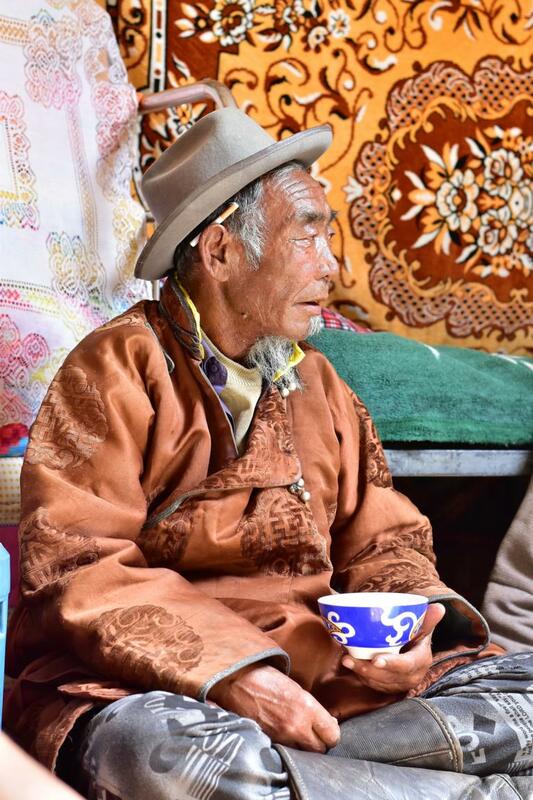 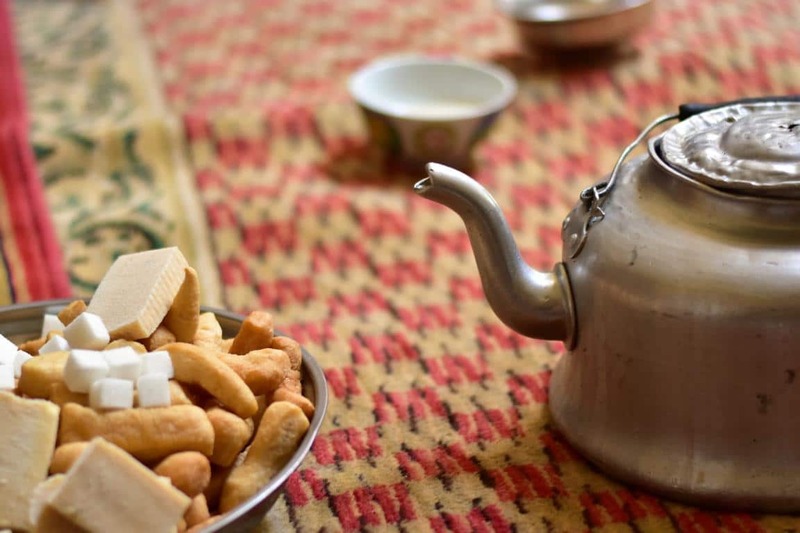 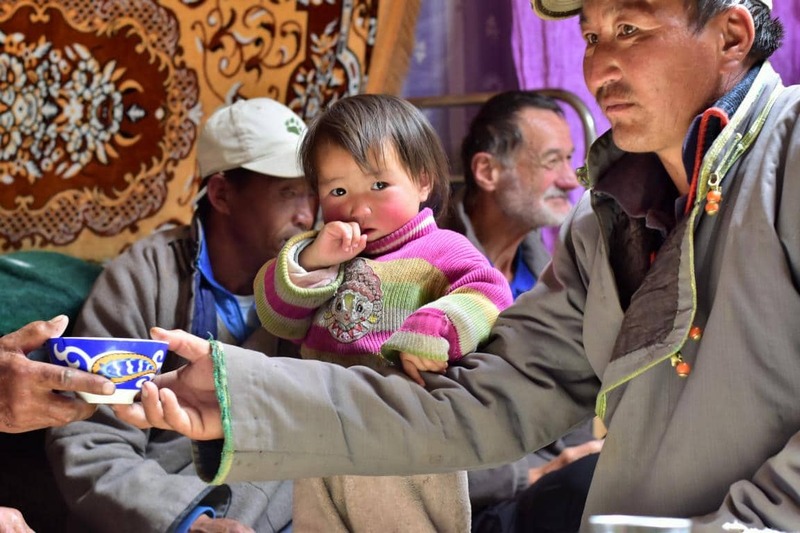 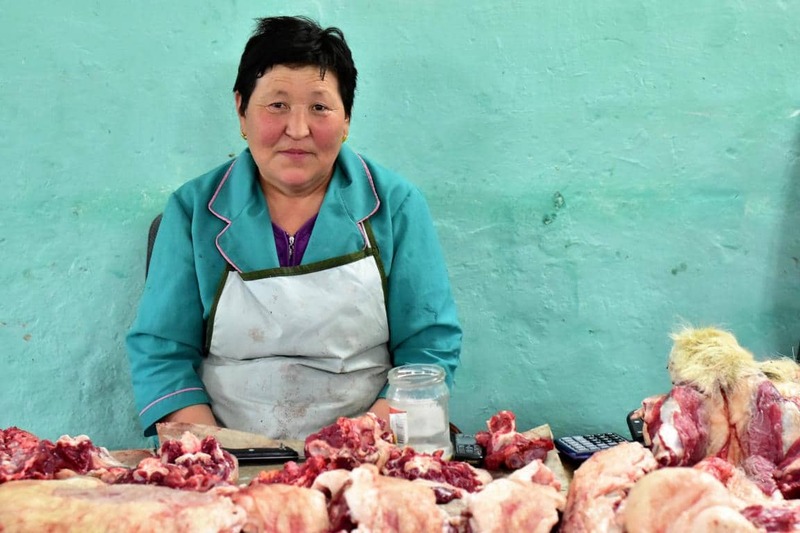 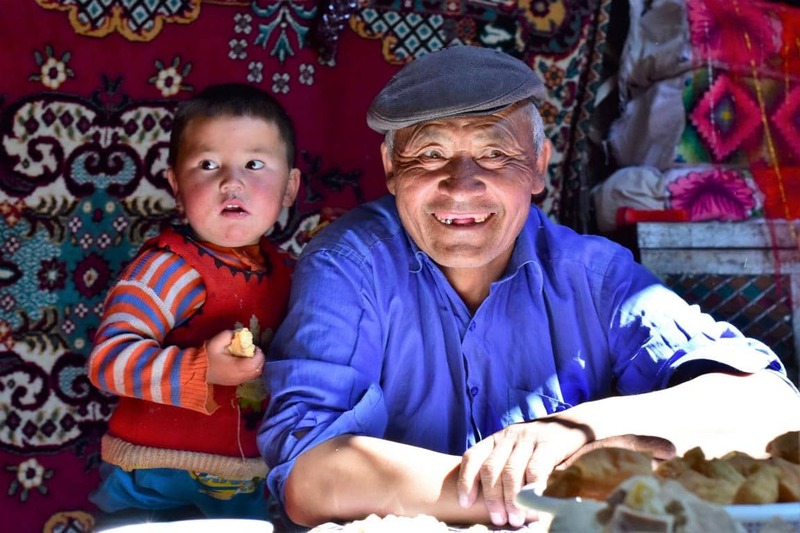 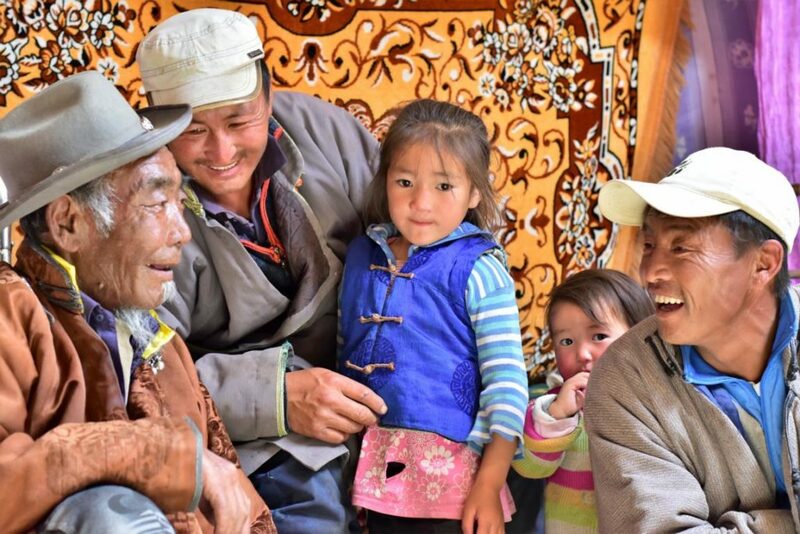 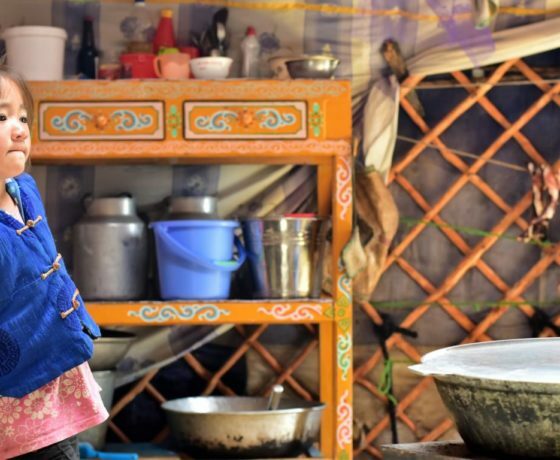 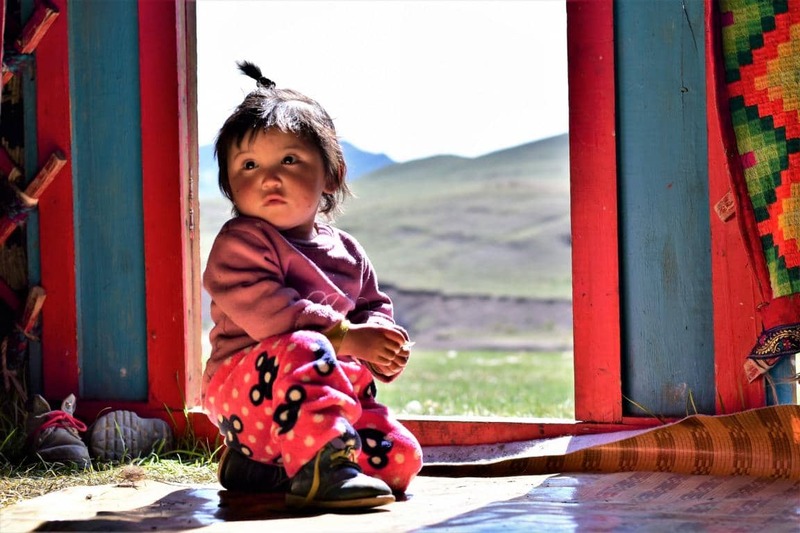 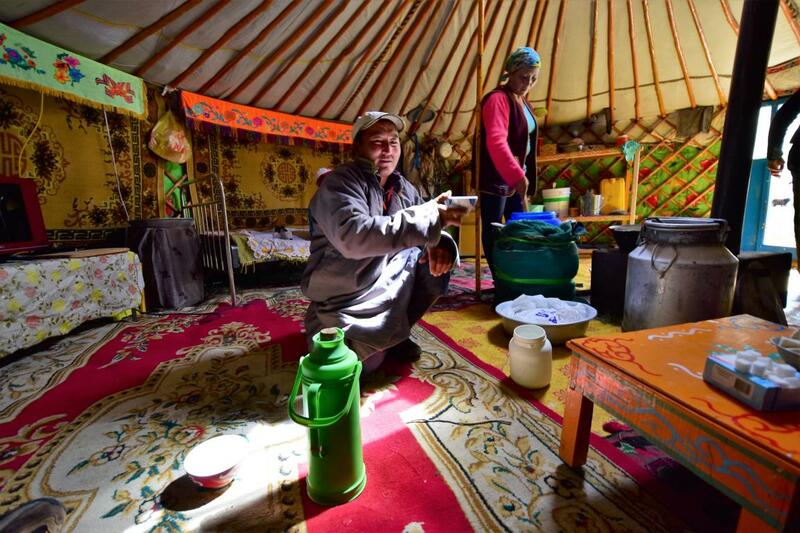 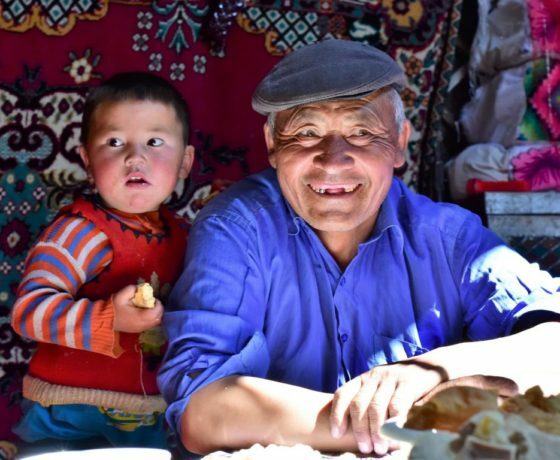 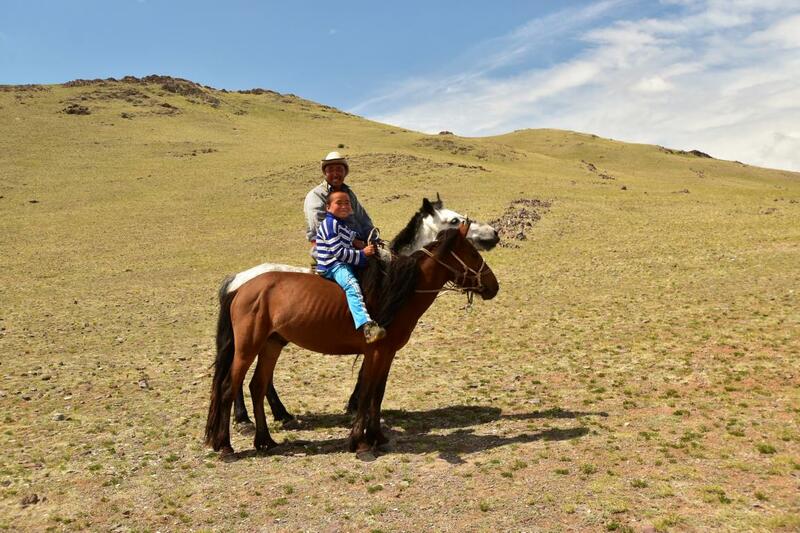 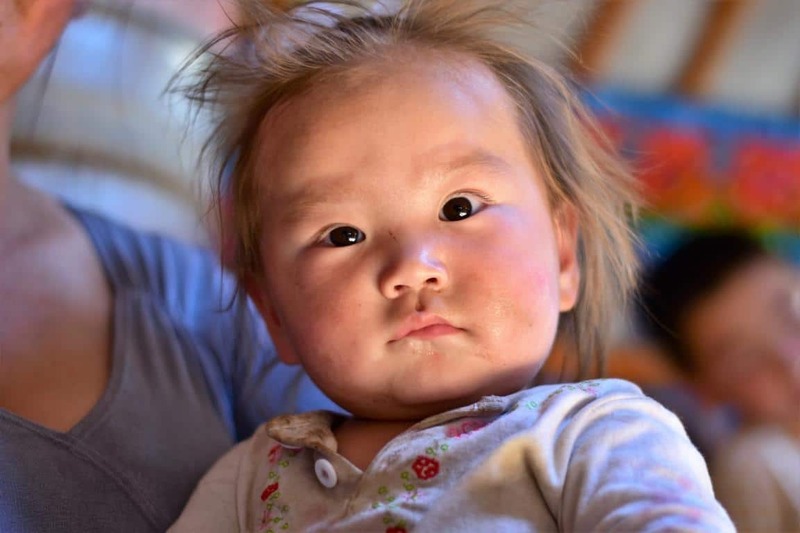 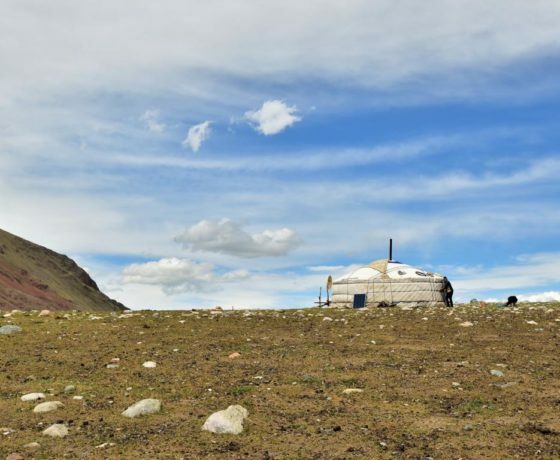 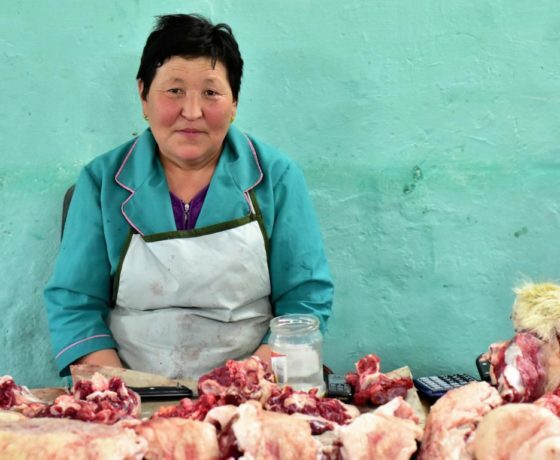 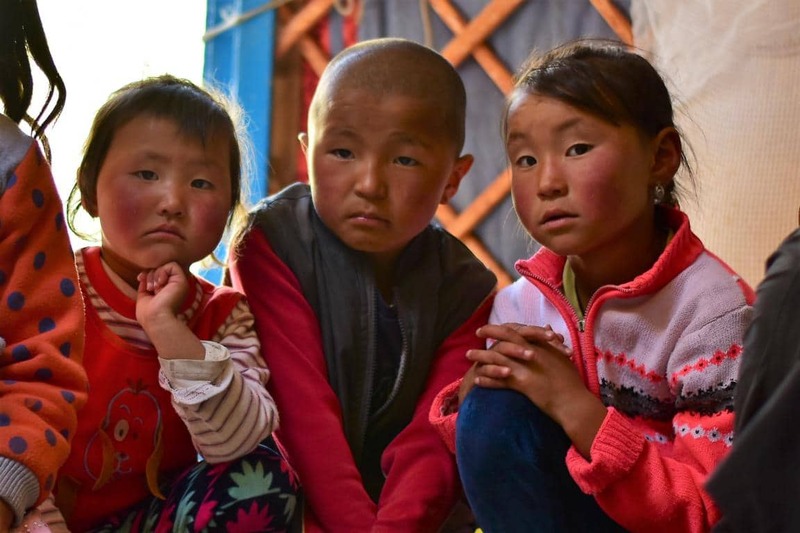 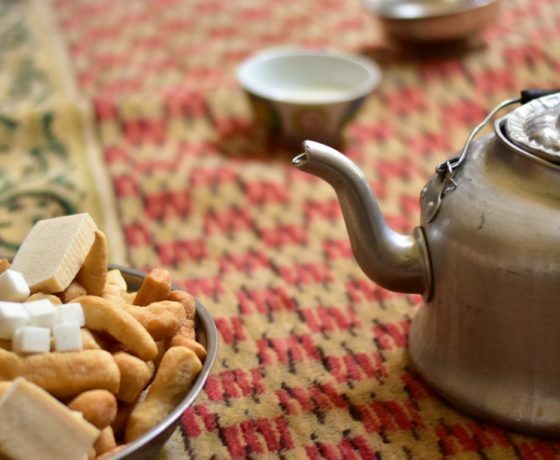 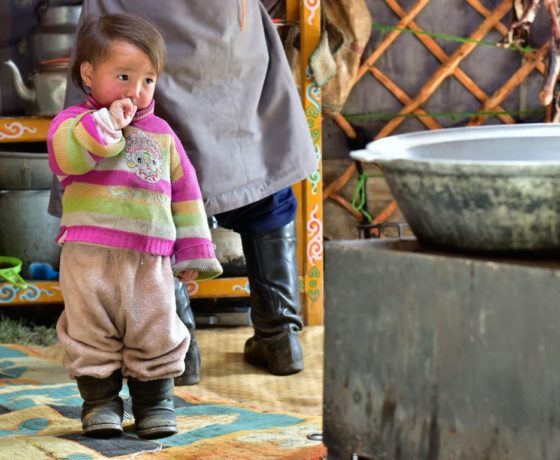 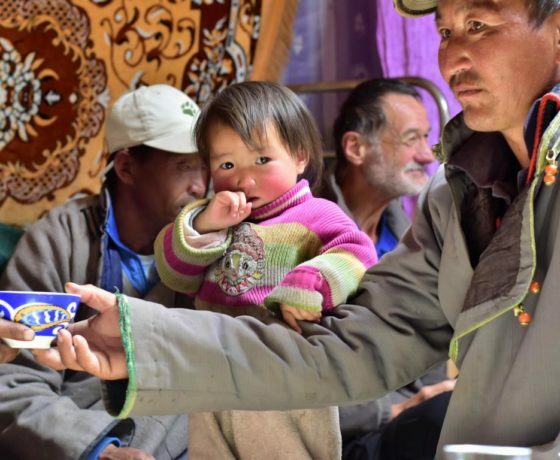 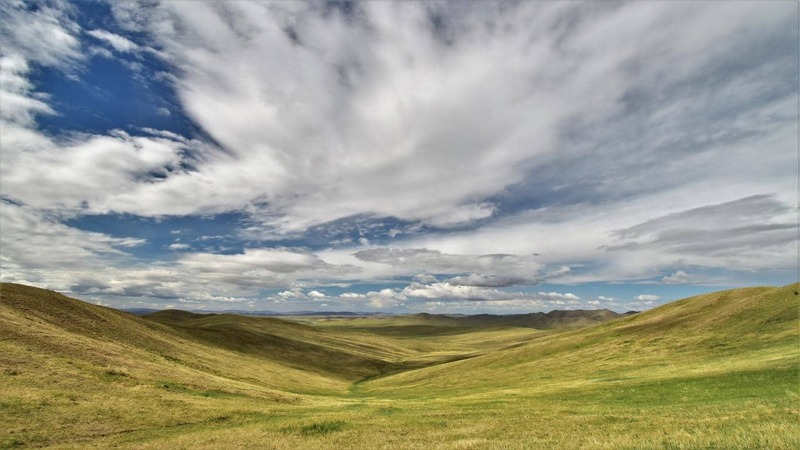 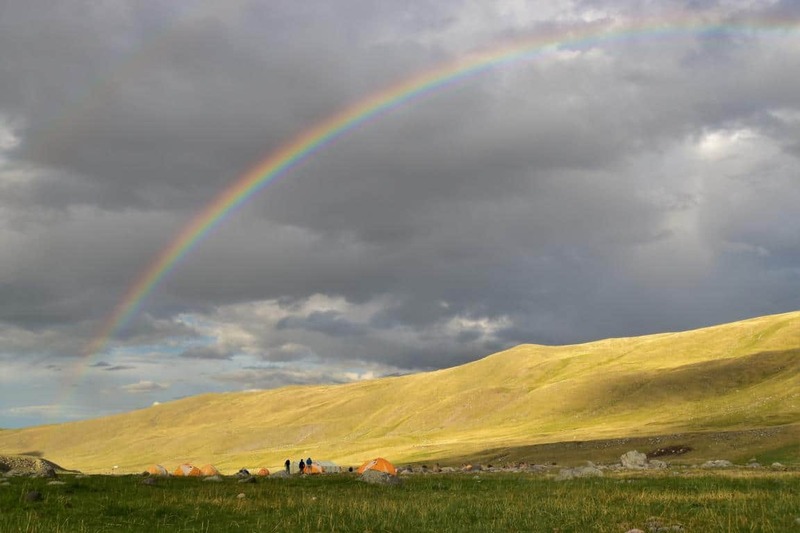 Hospitality is essential and is a cornerstone of the Mongolian-nomadic culture. 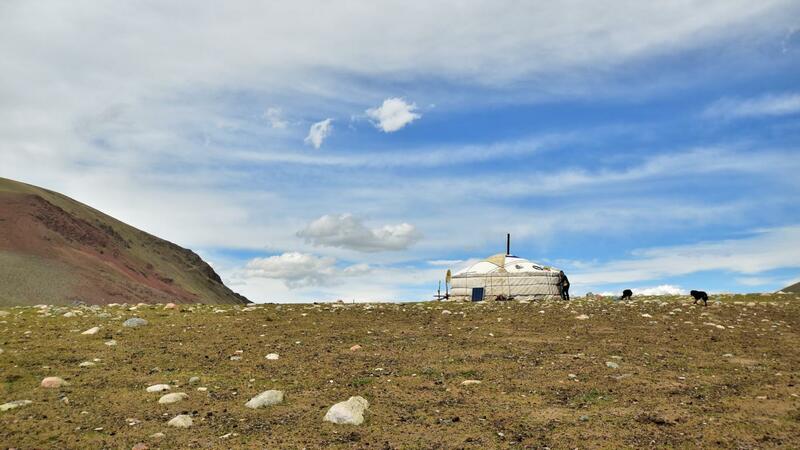 Anybody living in such remote isolation is also dependent on the helpfulness of the people, faraway neighbors and strangers alike. 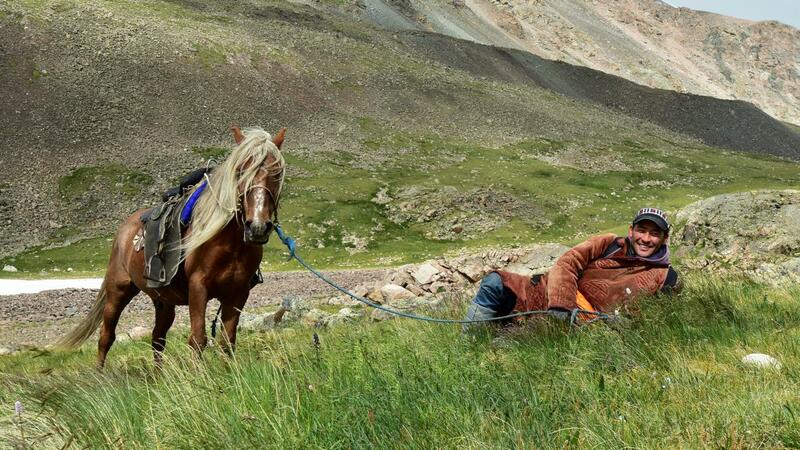 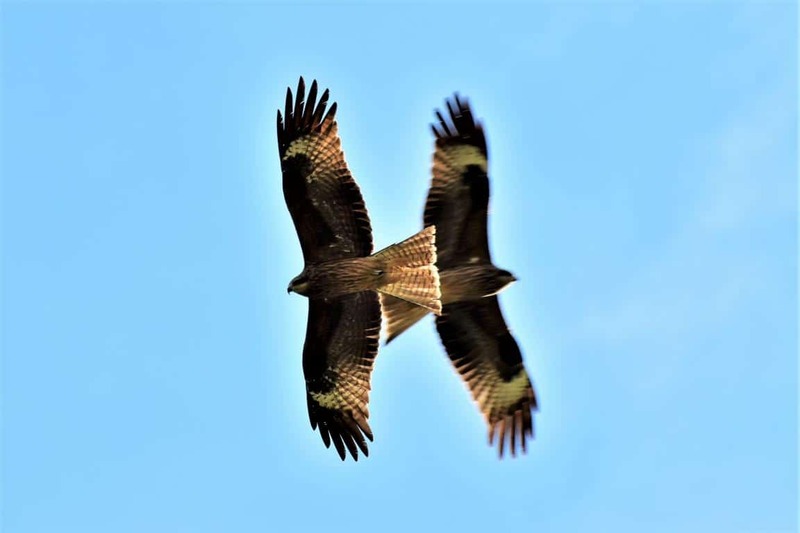 This is a culture built on the principle of reciprocity, which should not be exploited. 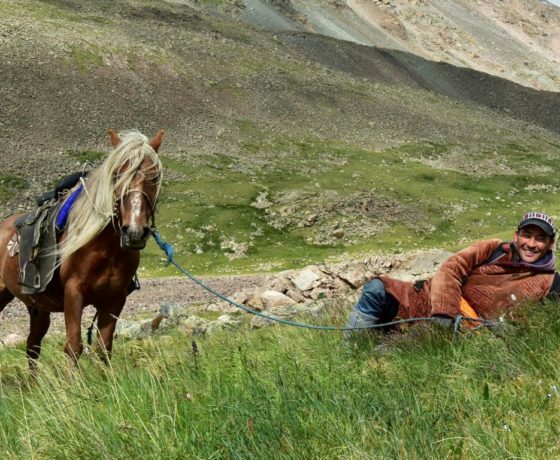 Not only the nomads, but also the country is special. 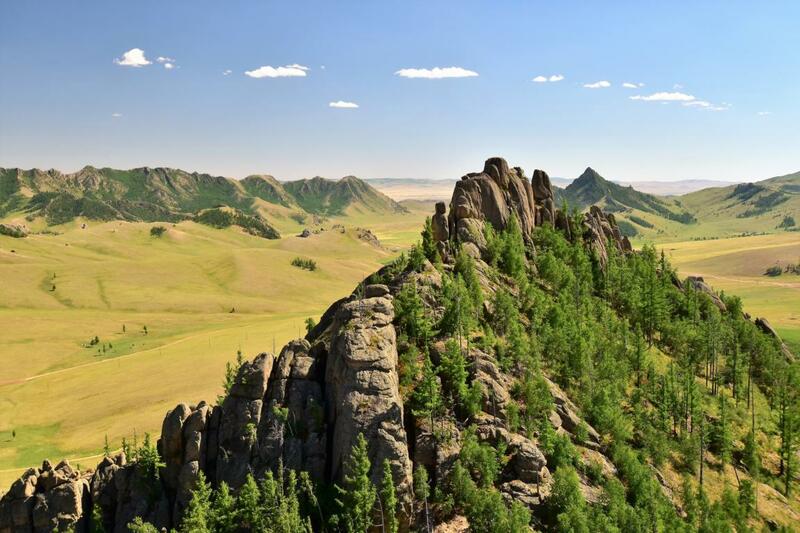 Wide landscapes, lush steppes and especially in the west also high, sacred mountains. 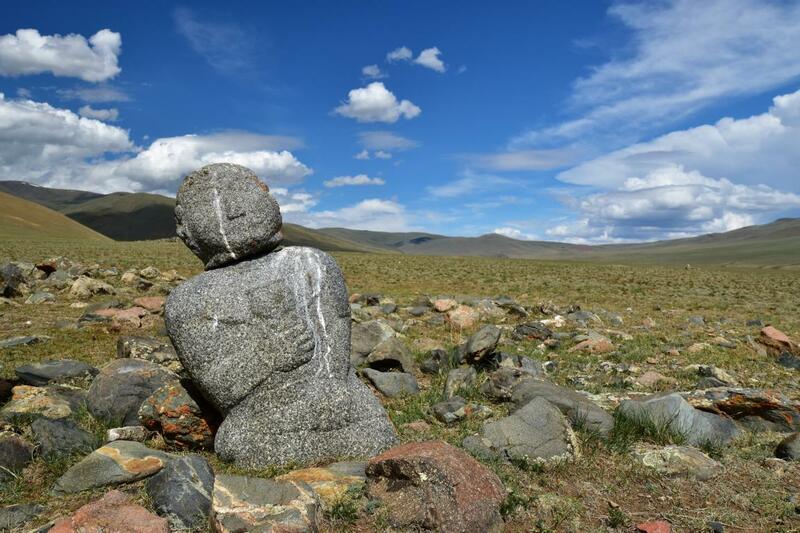 Here dwell local deities, who watch over the world of the common people. 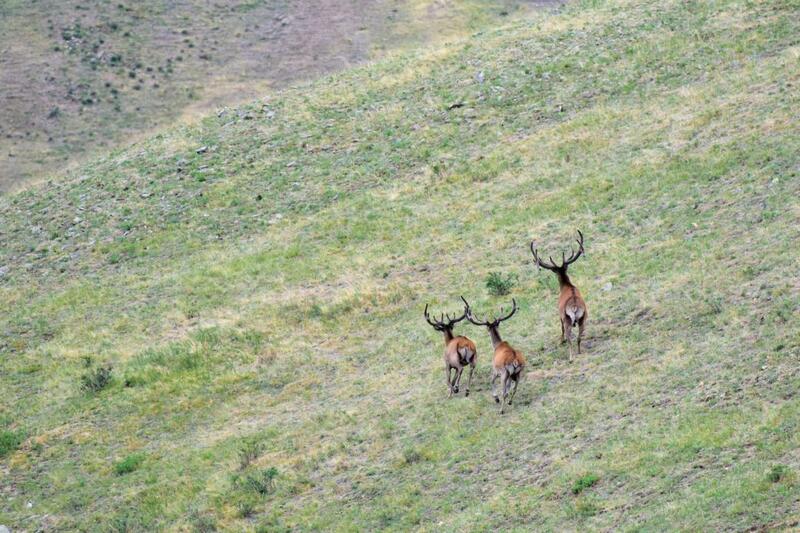 You treat nature with respect, carefully. 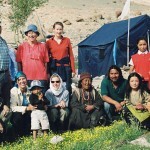 And such respect is also expected from guests and travelers. 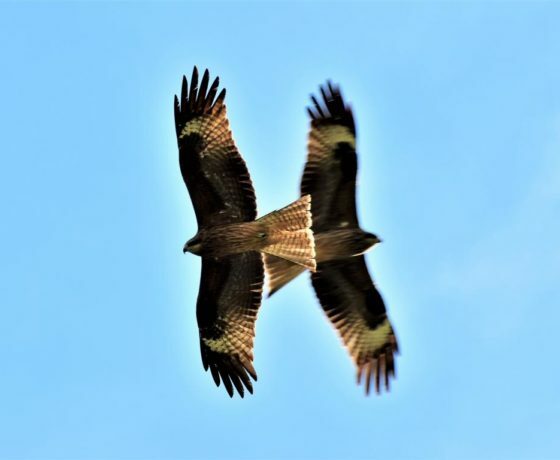 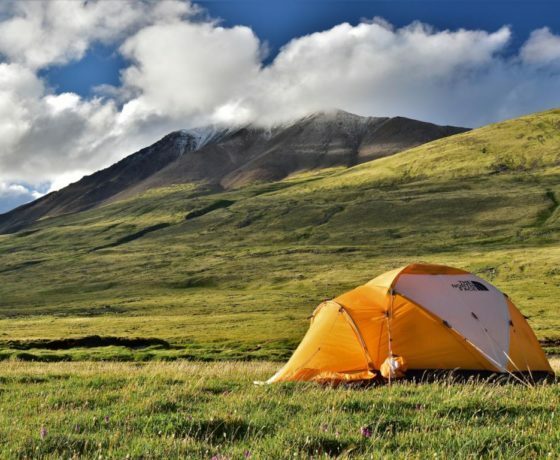 The rules are basic, and apply to both gers and sacred mountains: don’t be loud, and don’t rush, pay attention, take your time to appreciate the opportunity you’ve been given. 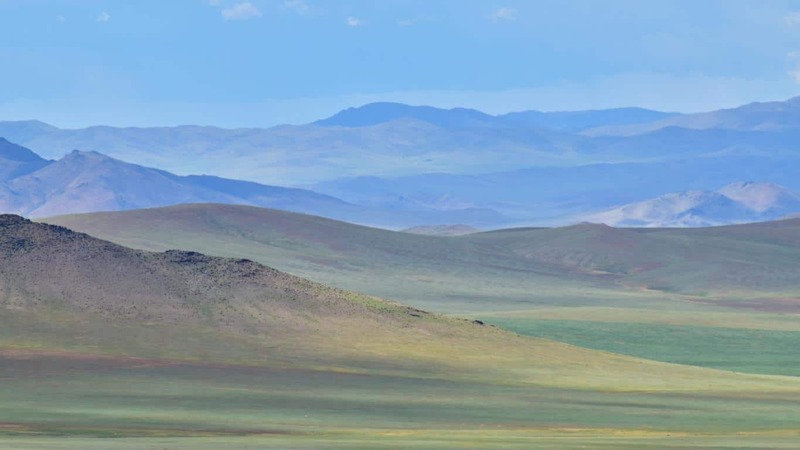 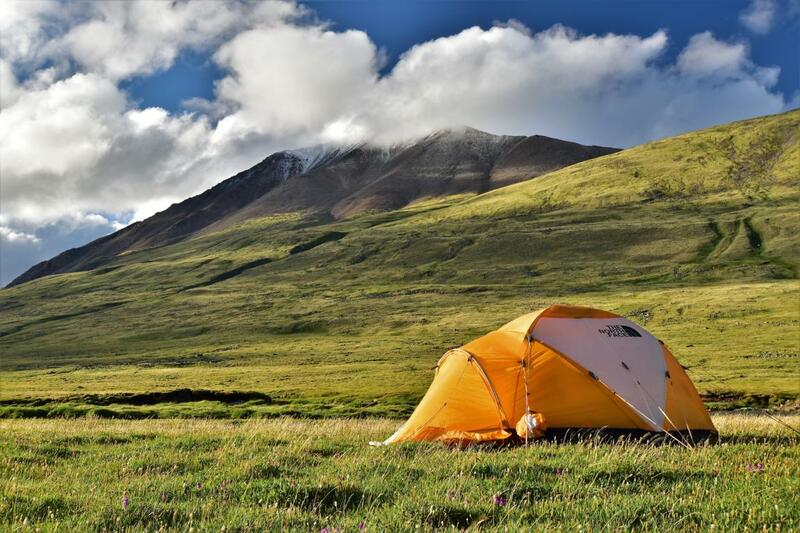 The Munkhhairhan, second highest mountain in Mongolia, is not technically difficult, but its 4326 meters of altitude make it a demanding ascent. 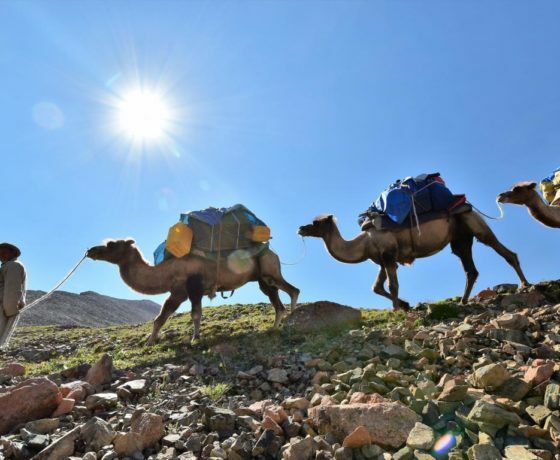 We will climb it with humility and in the end take a moment to draw in the majestic scenery and thank the gods for their goodwill, before returning to the nomads and enjoy their (very unusual for our palates) culinary delights. 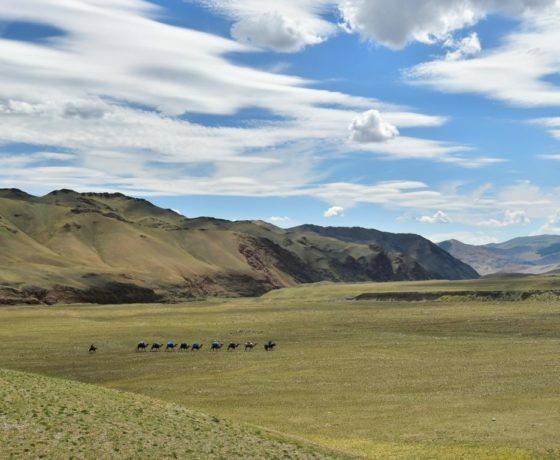 At the end of the group trip, we will also be allowed to participate in the biggest annual spectacle of Mongolia – the Nadaam Festival. 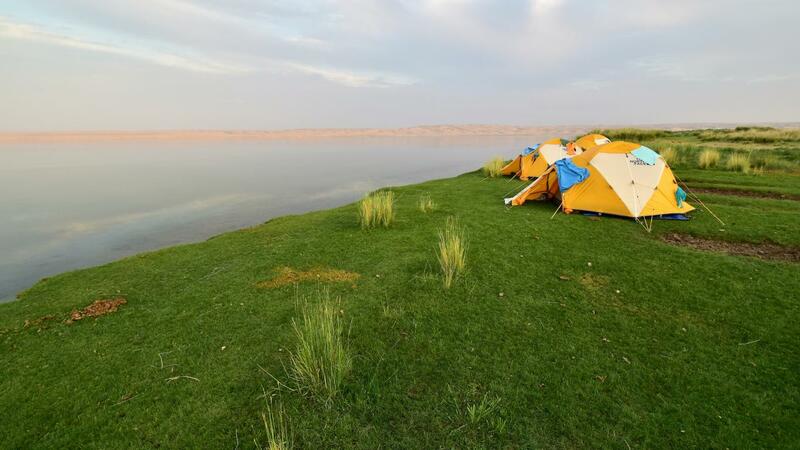 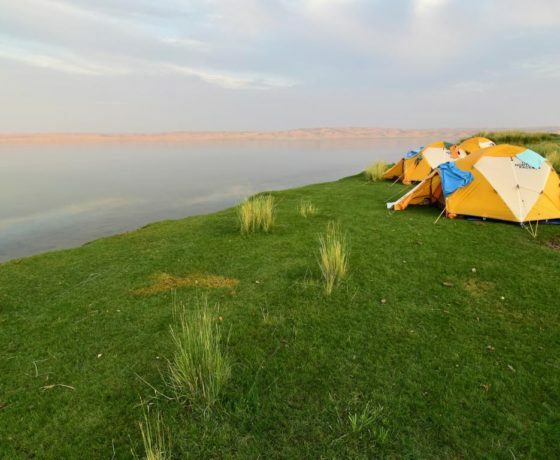 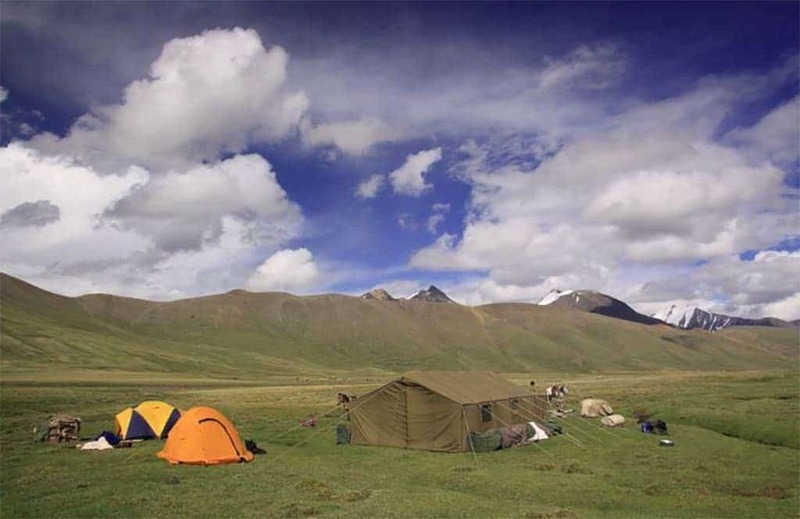 Like the nomads, we move through the country building up our camps at the most beautiful places. 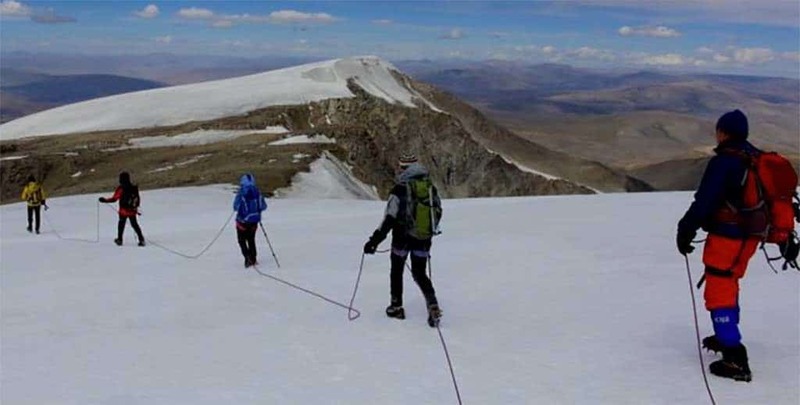 The ascent is not technically difficult, but walking on crampons and roped to the others is probably necessary. 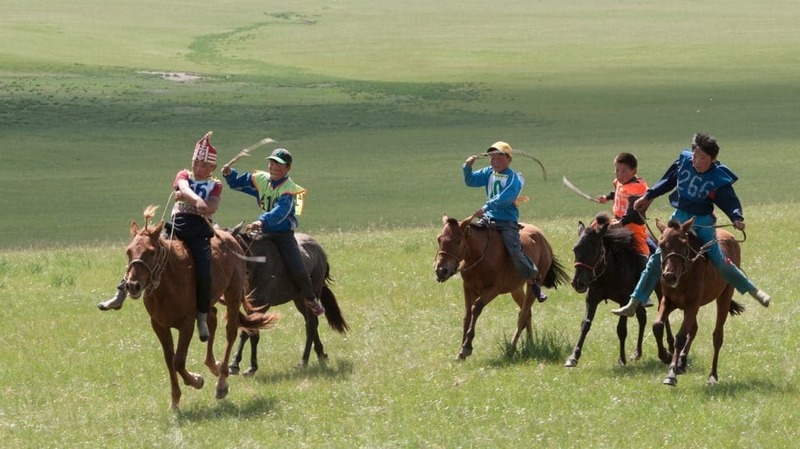 Lastly, we take part in the Naadam festival. 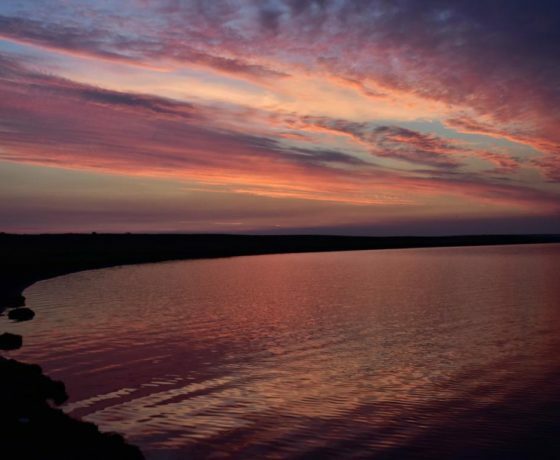 The date choice is up to you, but we are happy to help you find the best time to travel. 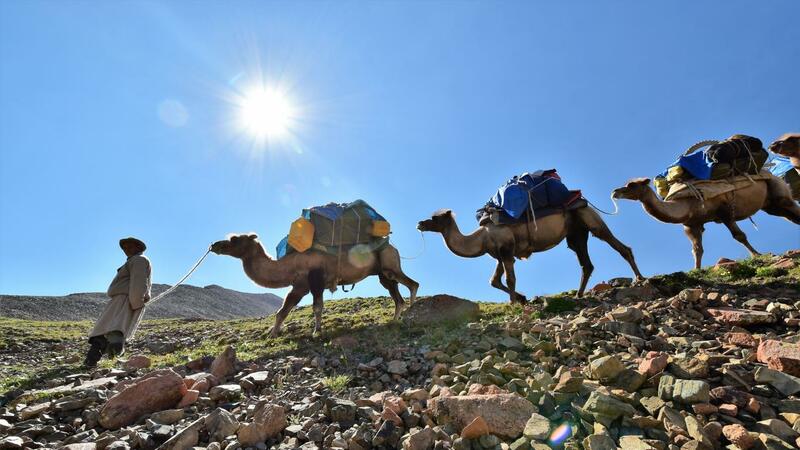 Of course you can also have the trip adapted to your needs: lengthen, shorten or change the program! 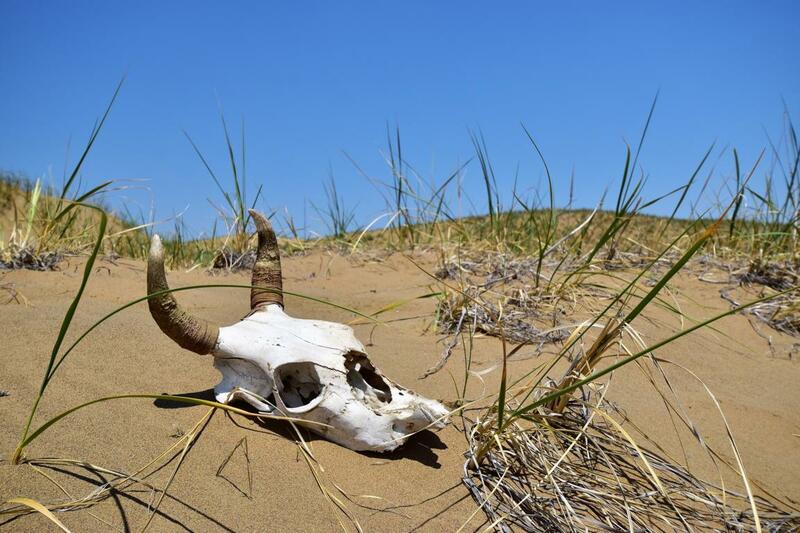 We are open for (almost) everything. 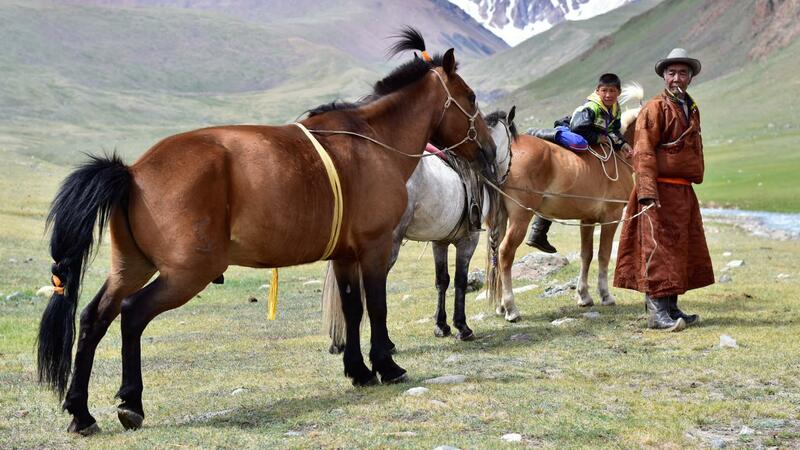 We can also offer the trip to single travelers. 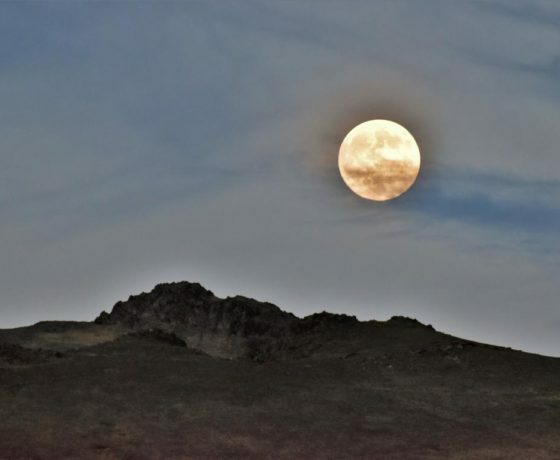 However, we kindly ask for your understanding: it is possible that we have to abstain from this during high season and at peak times.